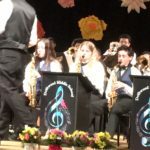 This entry was posted in Band Videos on February 12, 2019 by Band Supporter. 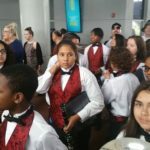 This entry was posted in Pictures on January 31, 2019 by Band Supporter. 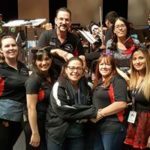 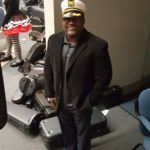 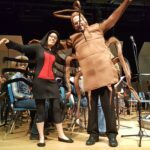 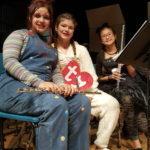 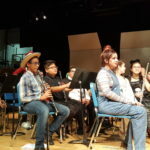 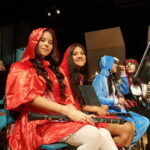 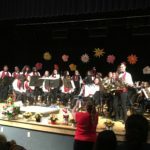 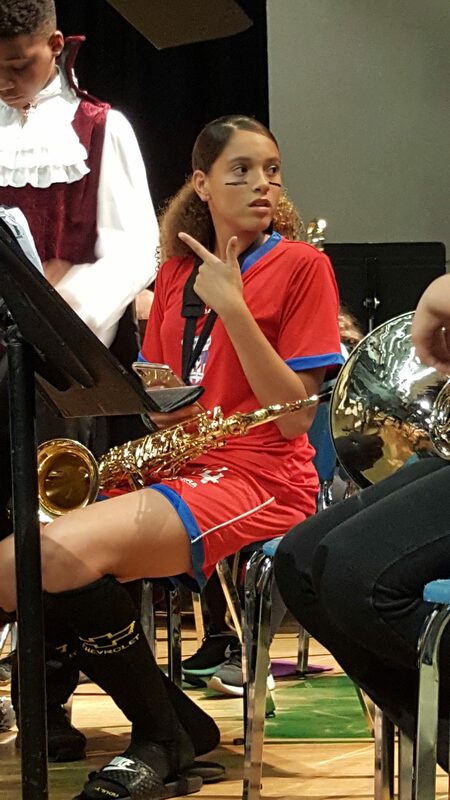 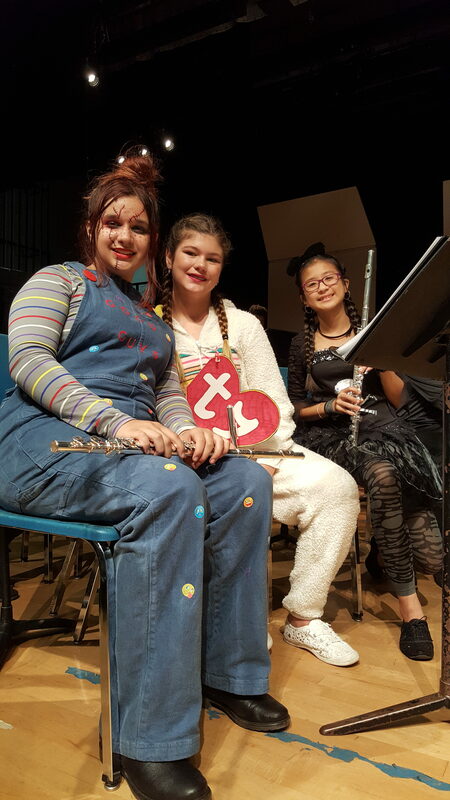 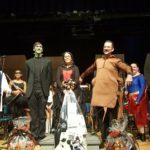 This entry was posted in Pictures on November 5, 2018 by Band Supporter. 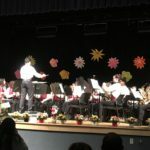 This entry was posted in Band Videos on November 5, 2018 by Band Supporter. 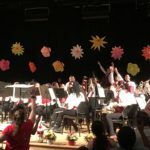 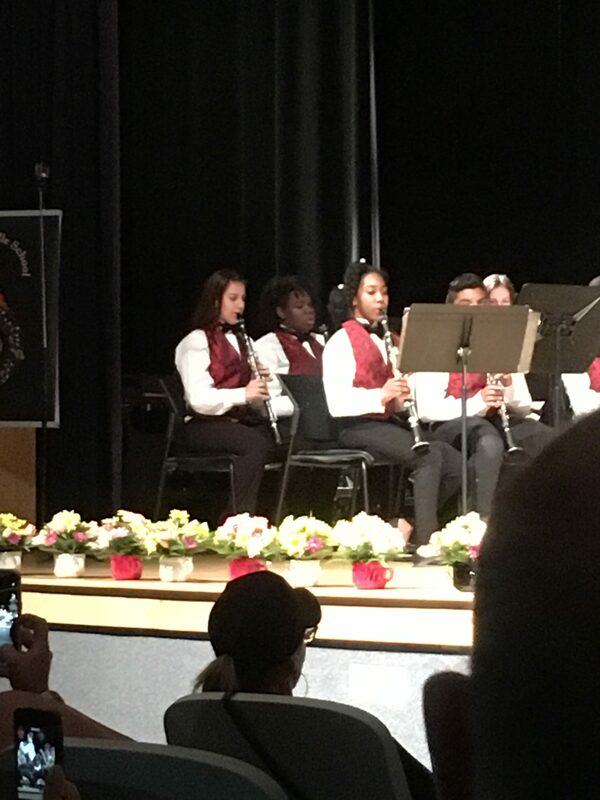 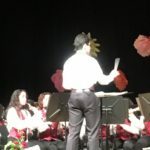 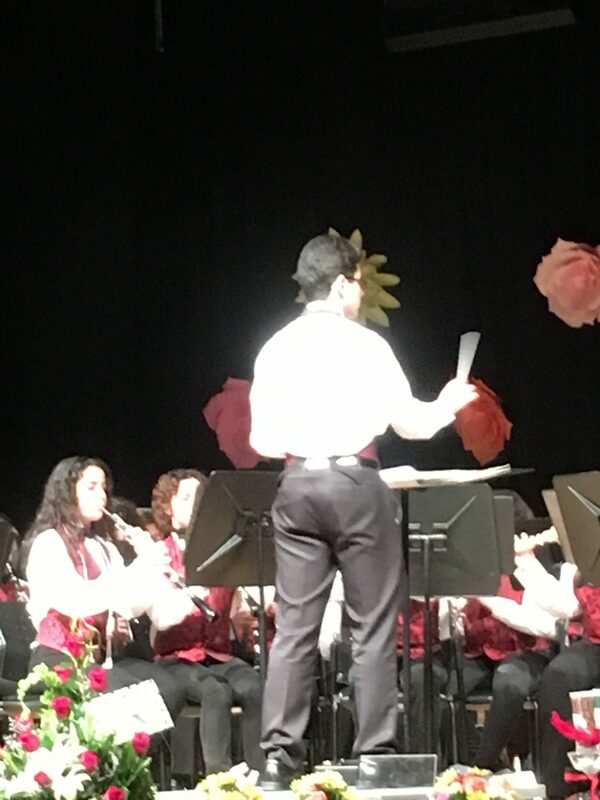 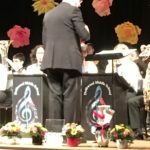 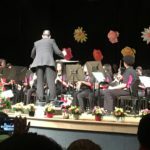 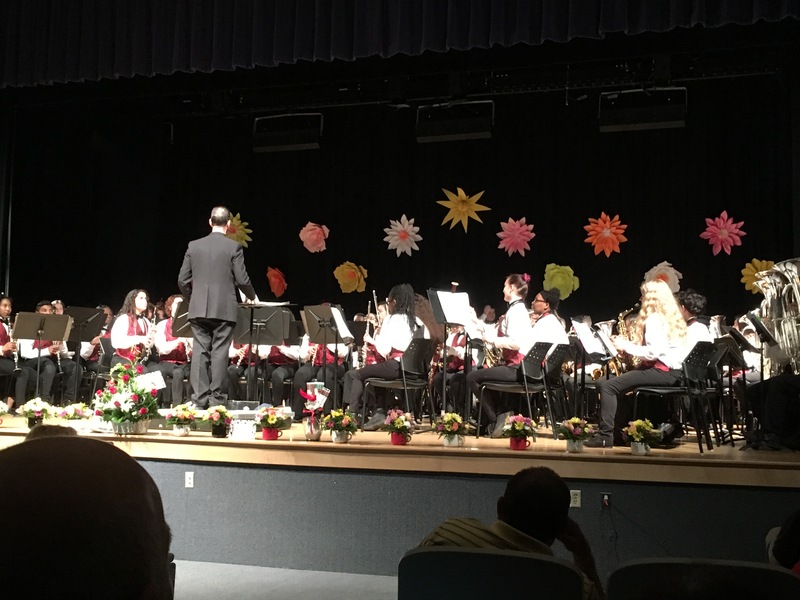 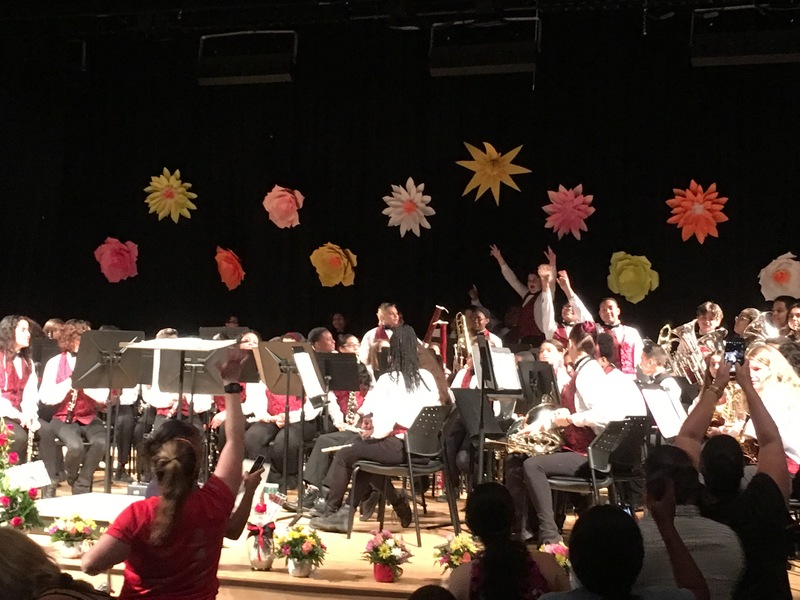 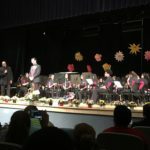 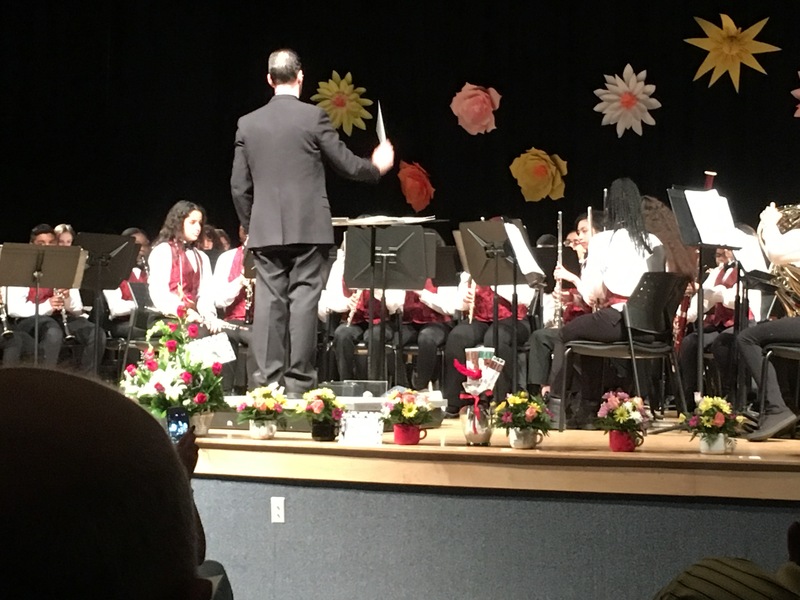 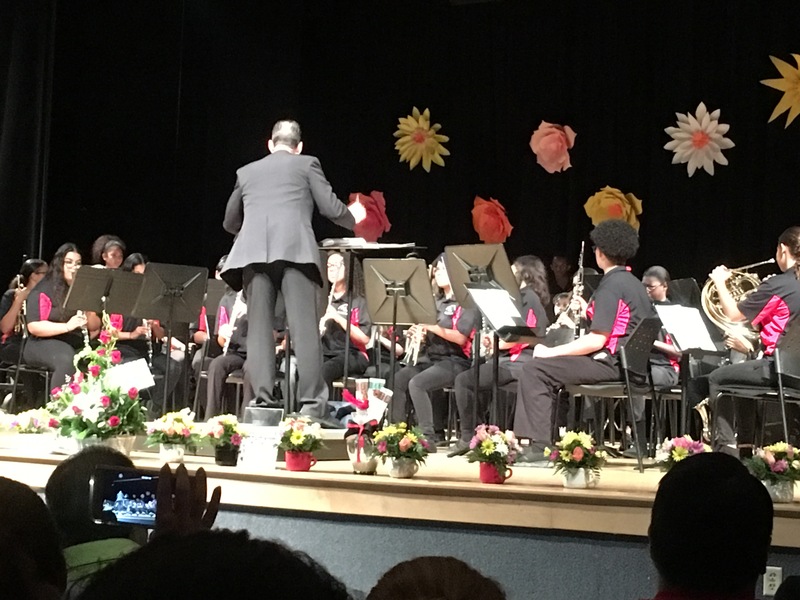 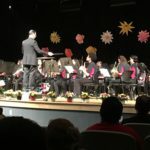 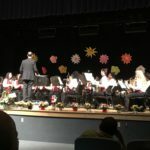 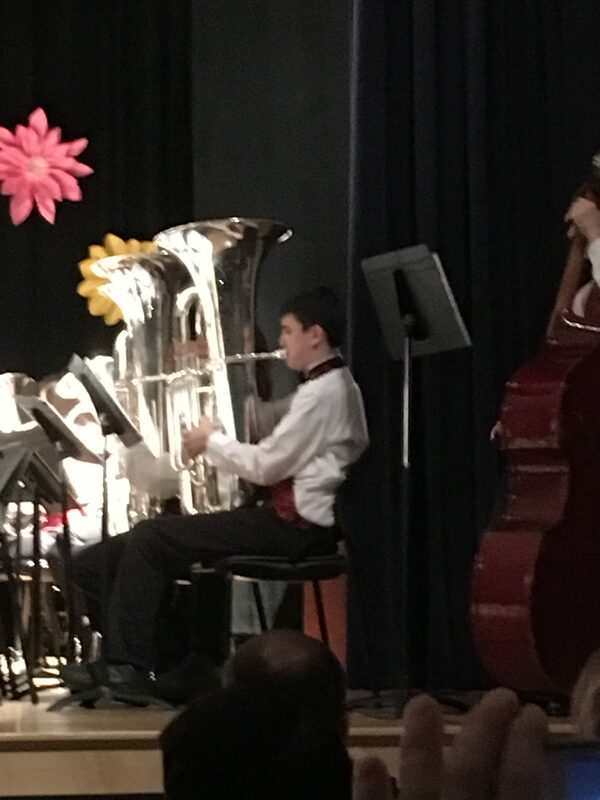 The DMS Beginning Band held their annual Spring Concert on June 1st, 2017. 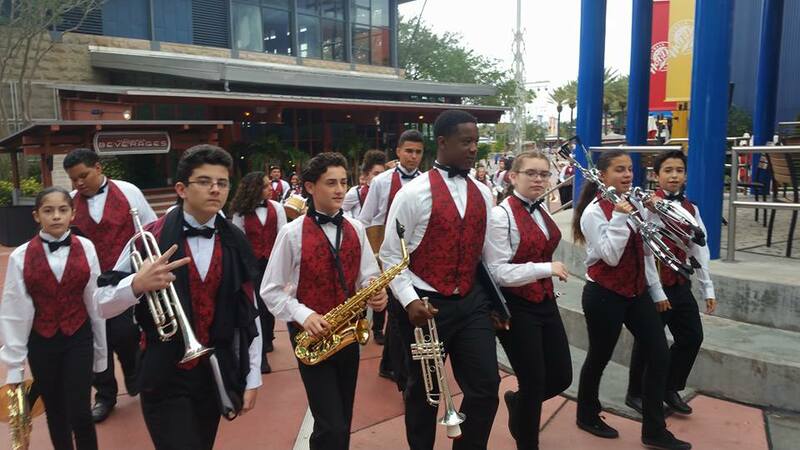 We could not be prouder of this group. 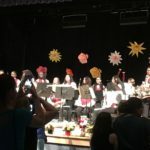 They have made such amazing progress this year and we are looking forward to seeing them grow even more next school year. 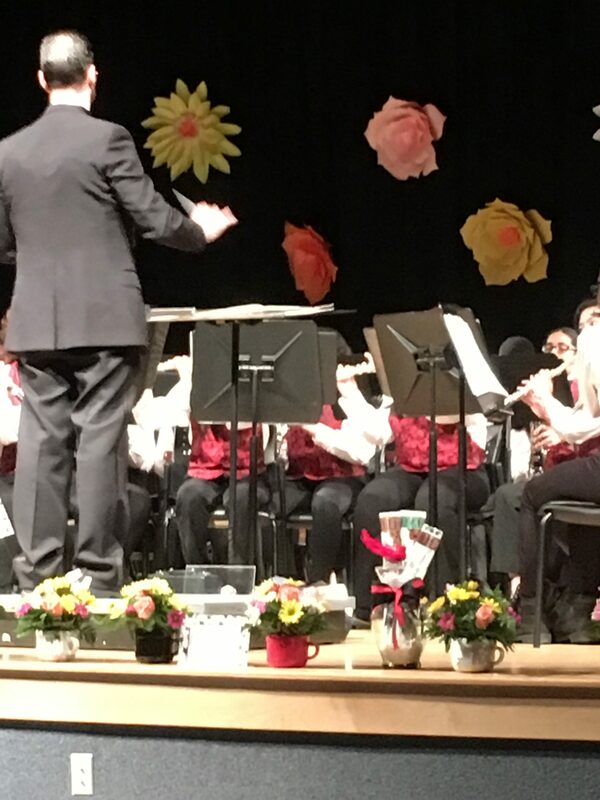 Great job Beginning Band students! 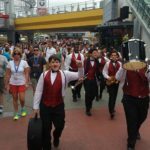 This entry was posted in Band Videos on June 5, 2017 by Band Supporter. 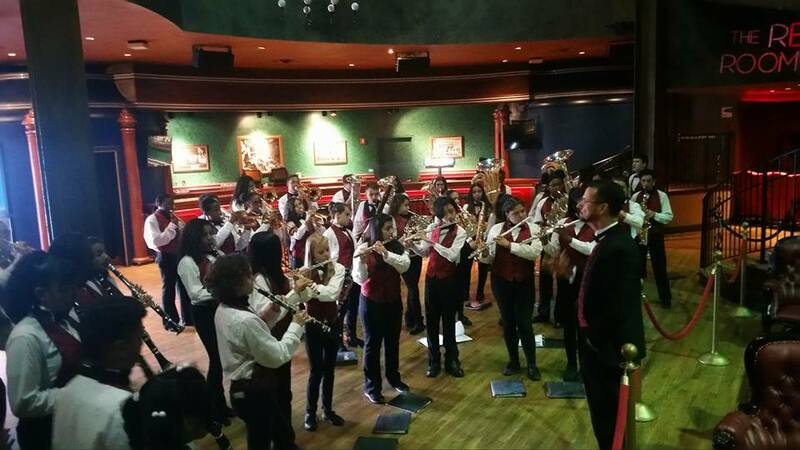 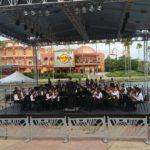 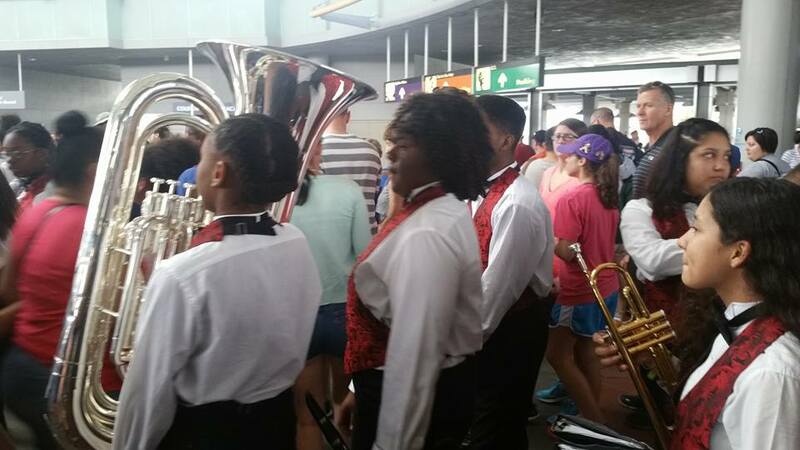 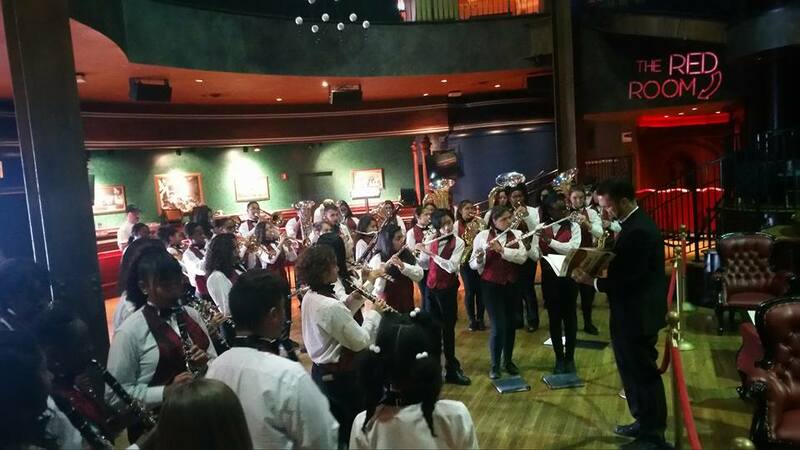 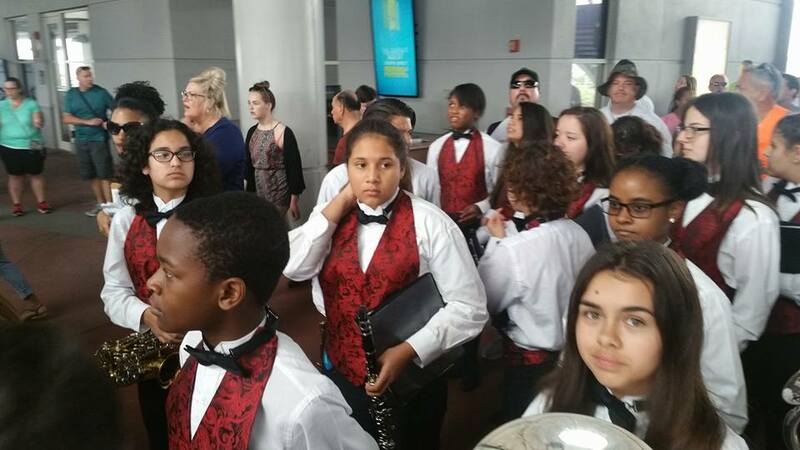 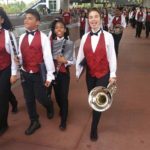 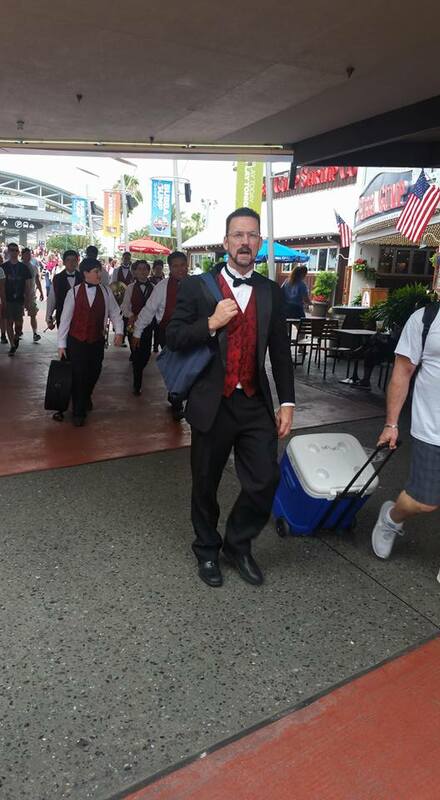 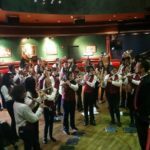 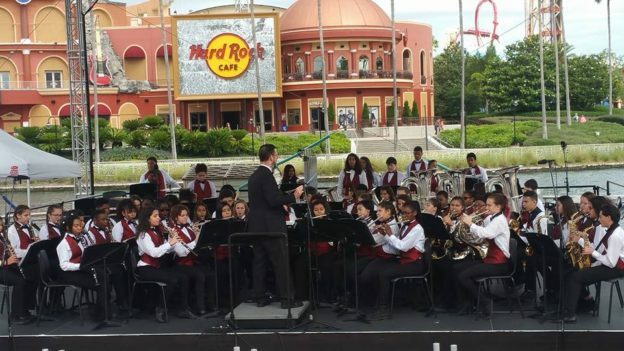 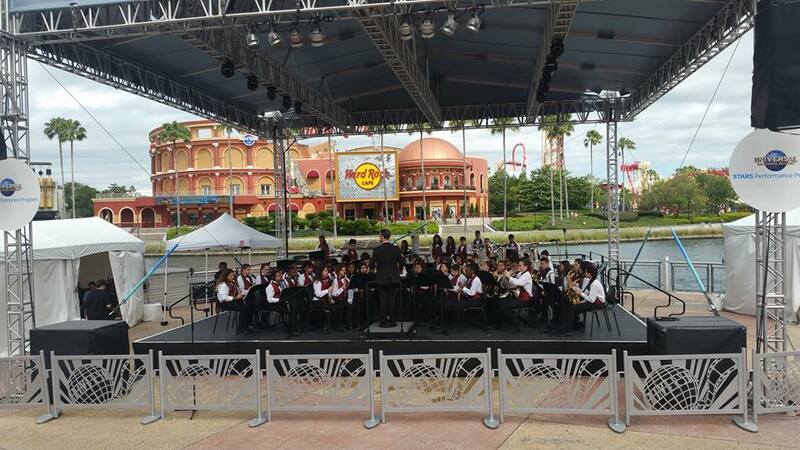 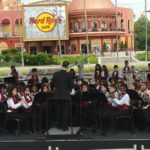 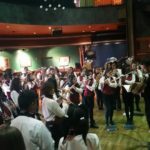 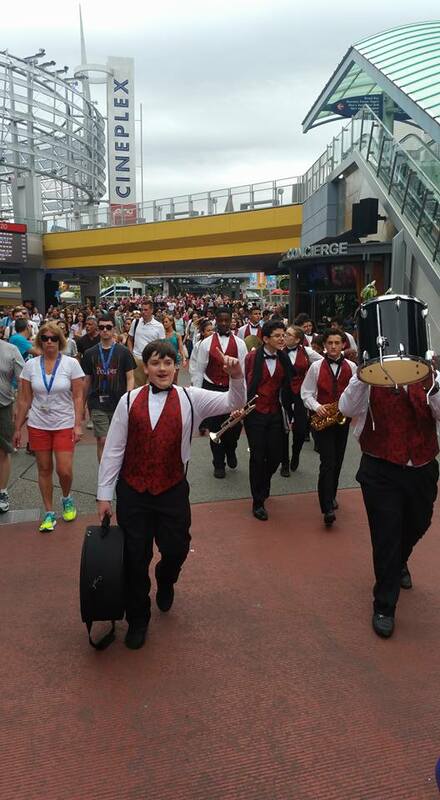 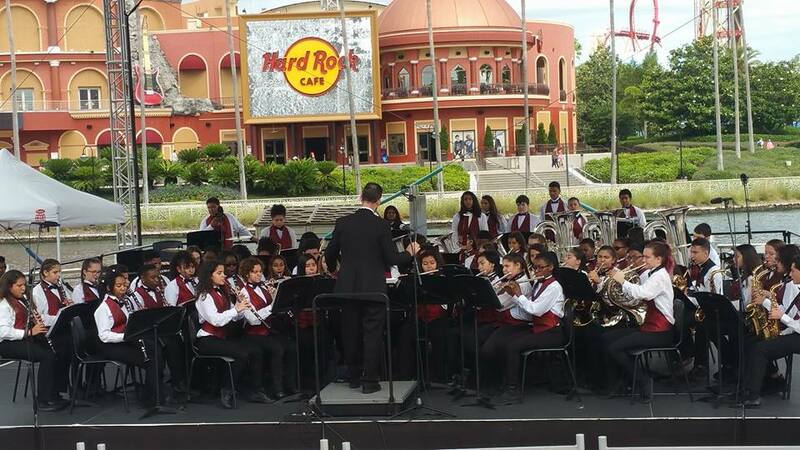 The Driftwood Middle School Symphonic Band was invited to perform at Universal Studios in Orlando, FL on May 25th, 2017. 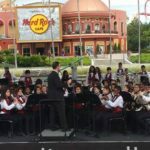 This is always a fun and exciting trip and our band students love performing at the park…and then going on all the rides! 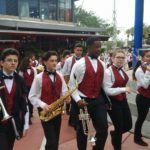 This entry was posted in Band Videos, Pictures on May 25, 2017 by Band Supporter. 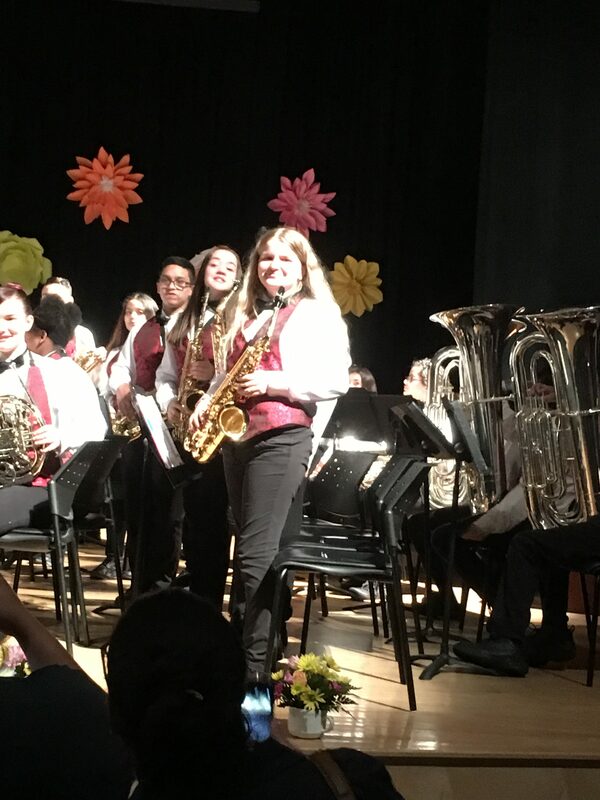 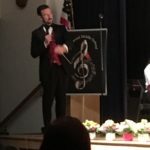 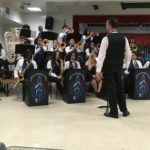 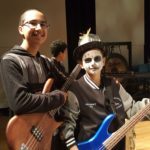 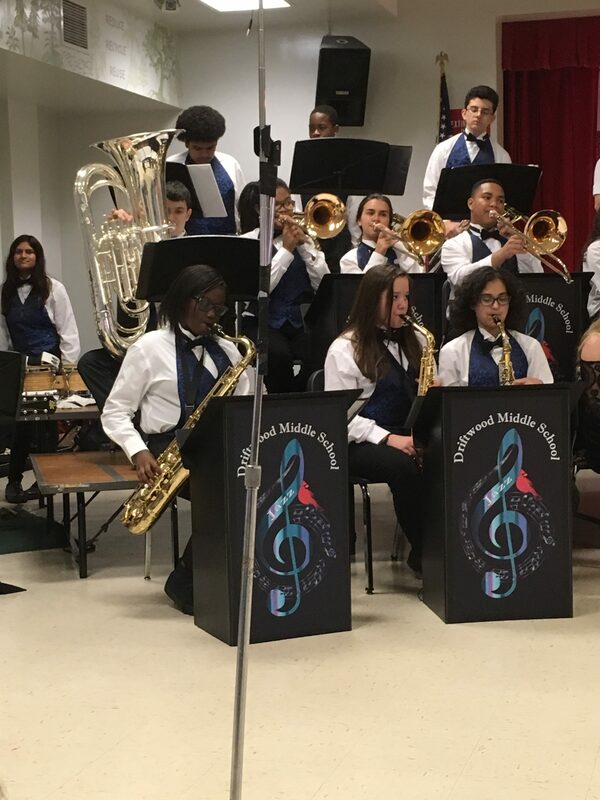 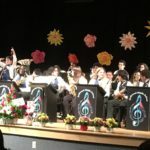 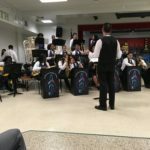 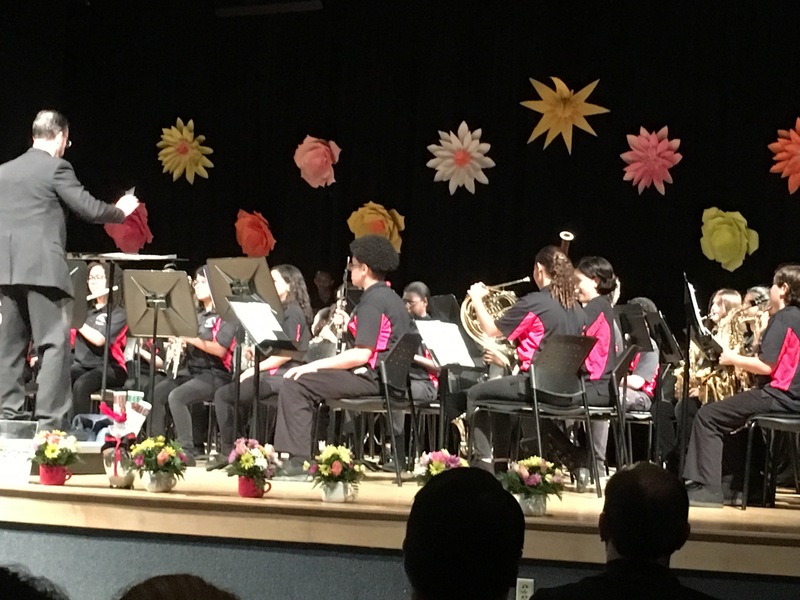 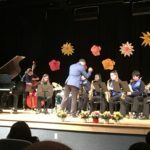 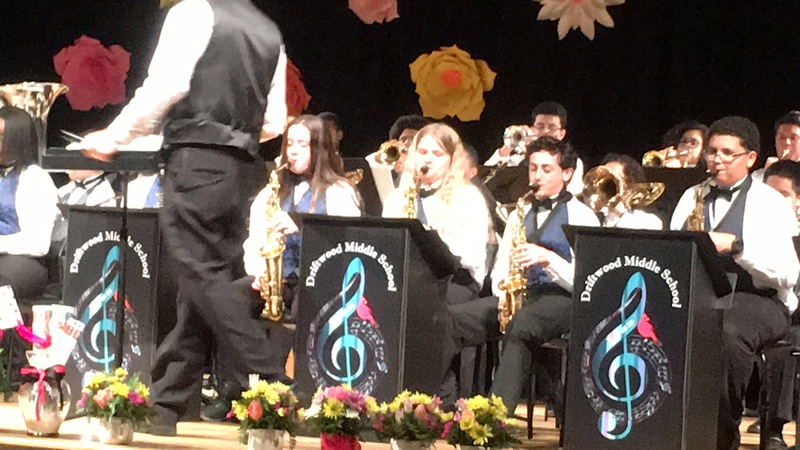 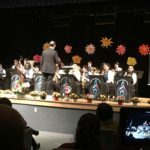 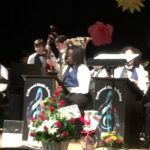 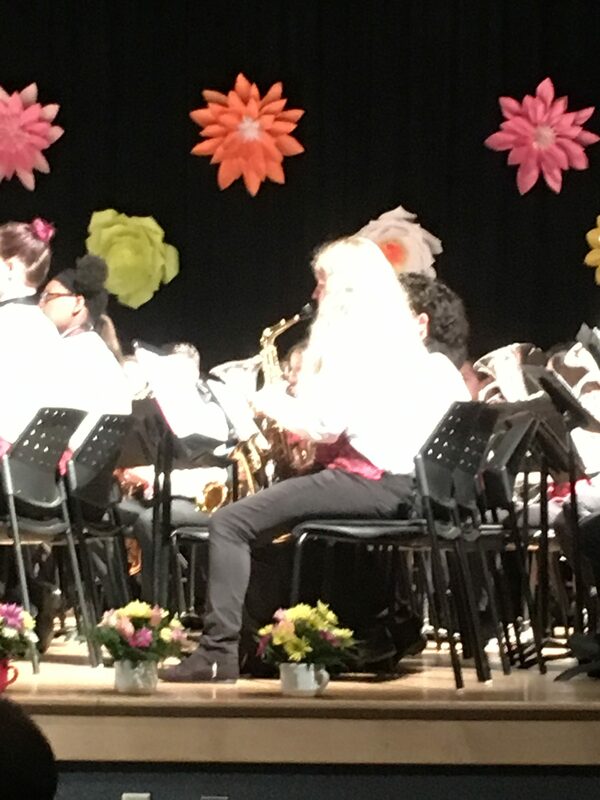 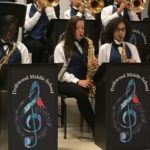 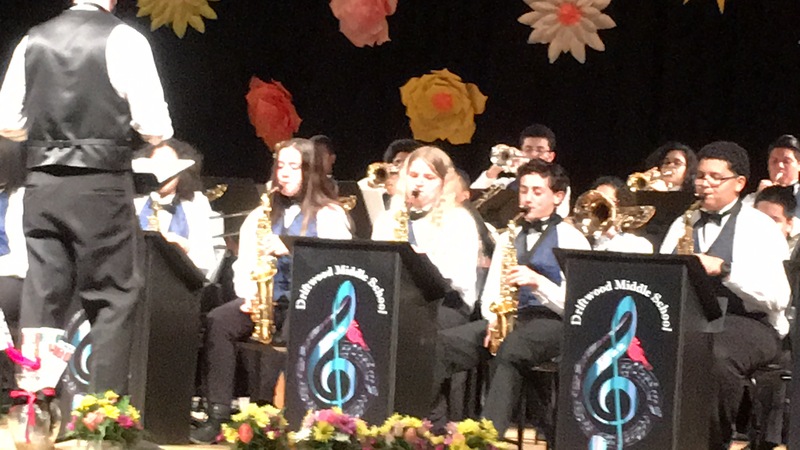 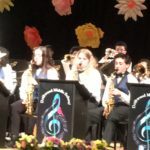 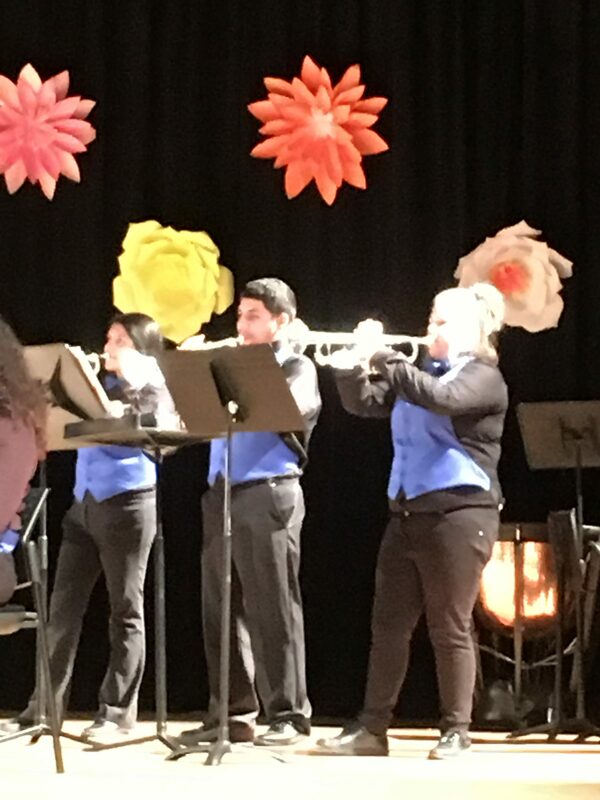 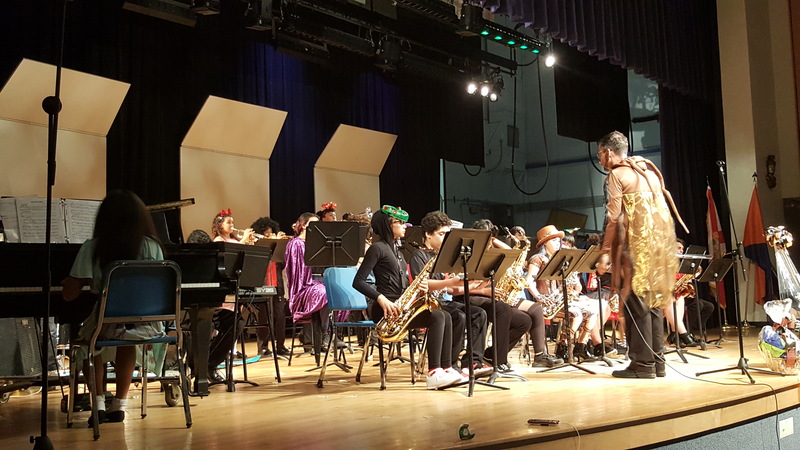 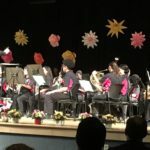 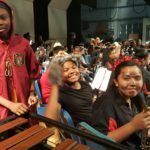 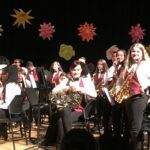 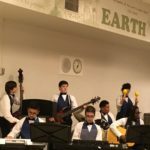 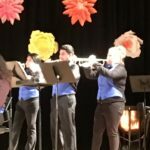 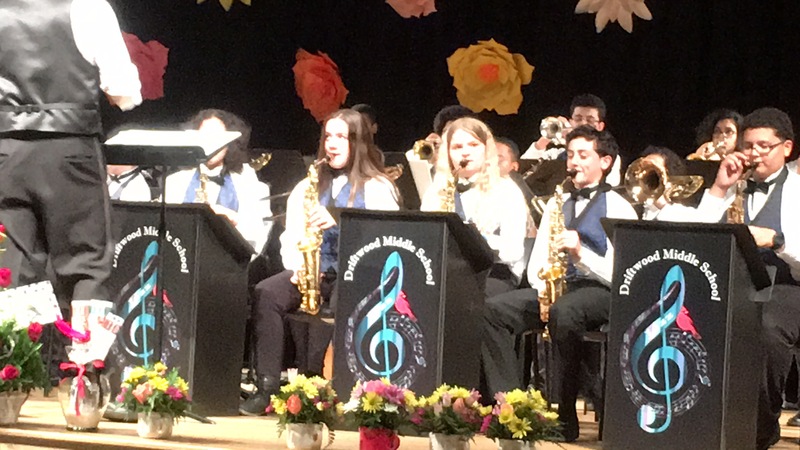 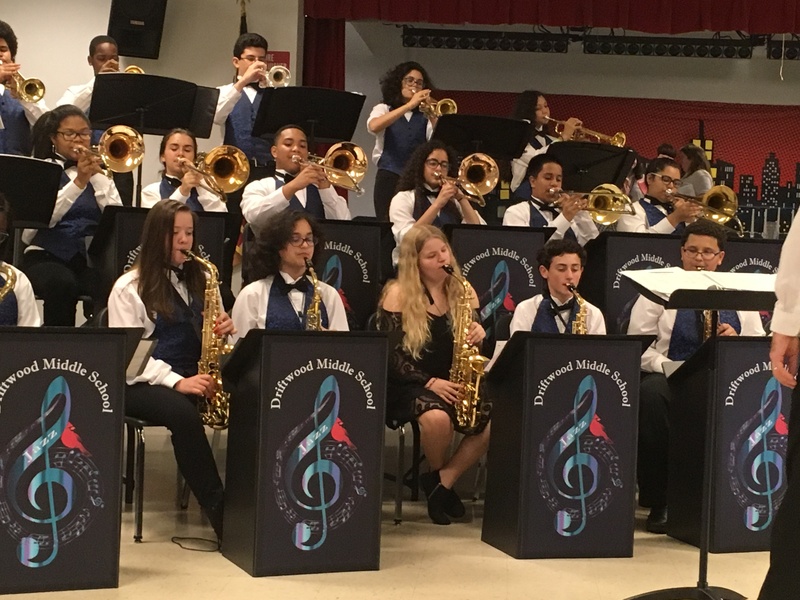 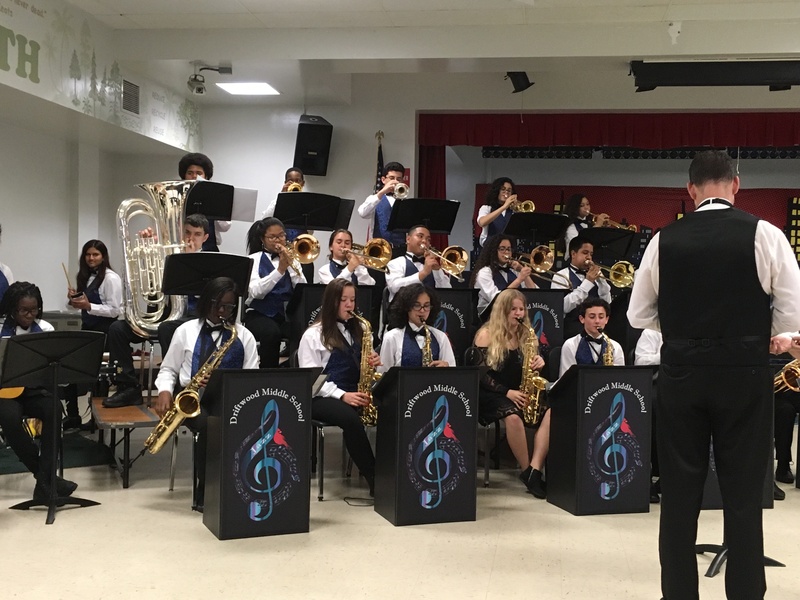 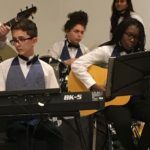 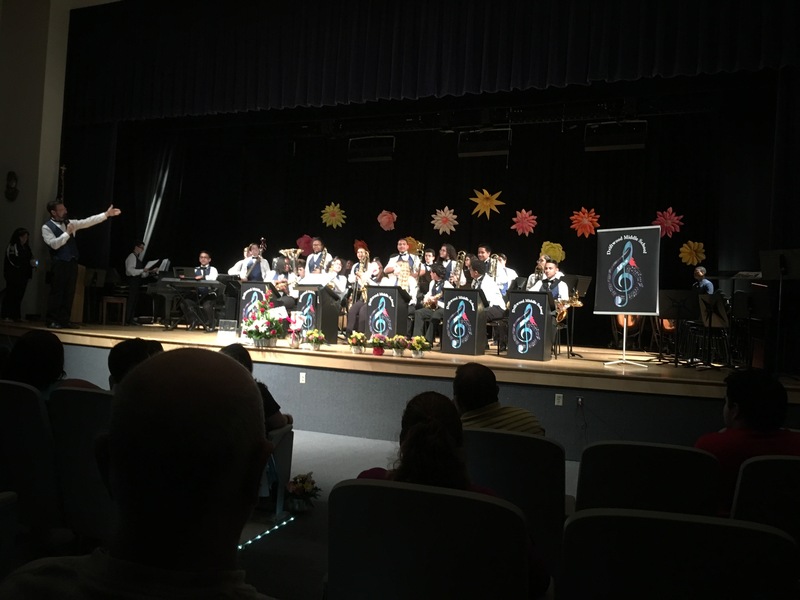 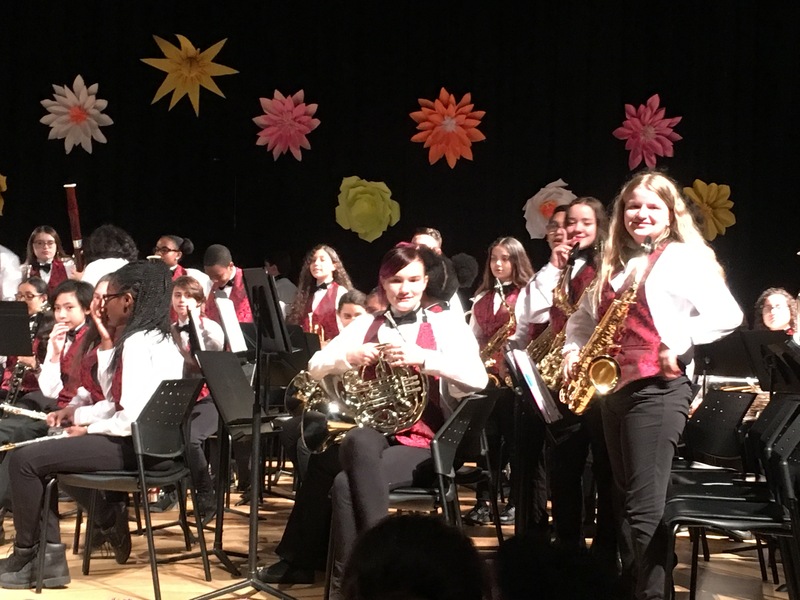 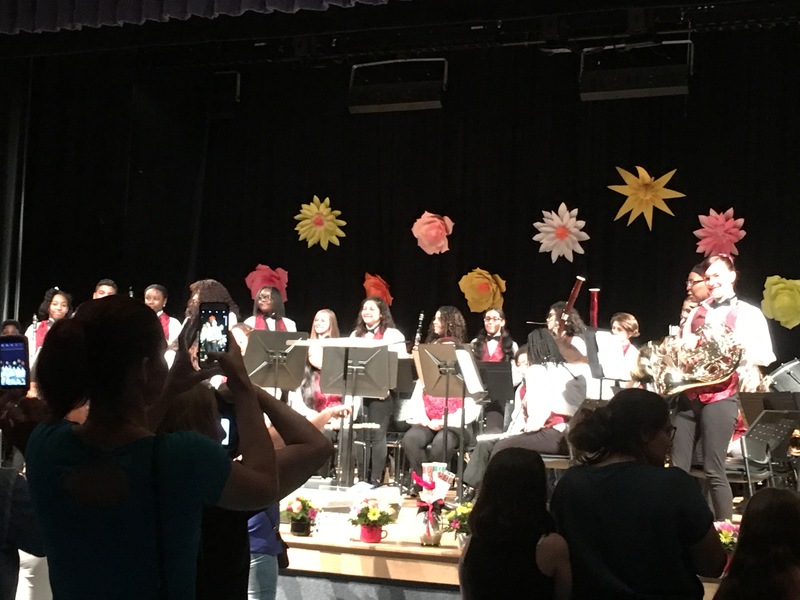 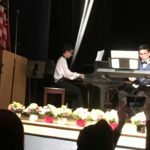 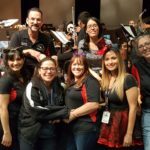 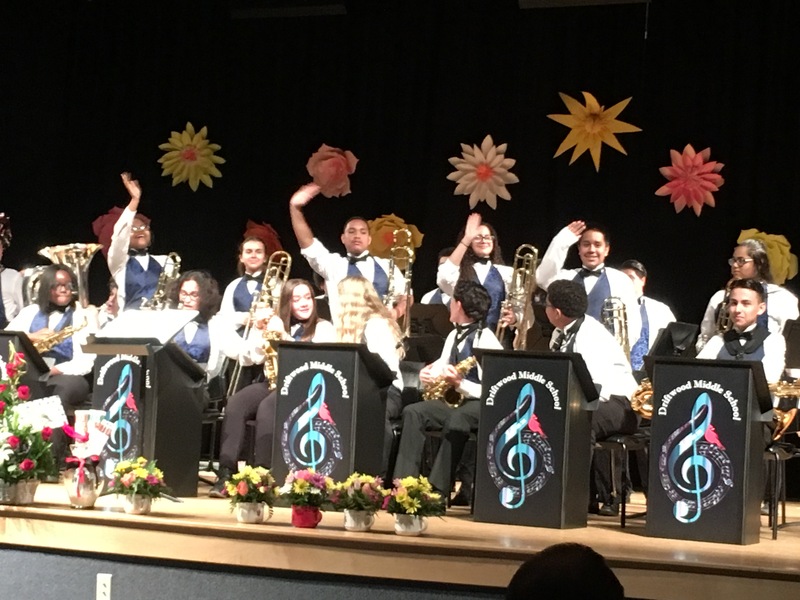 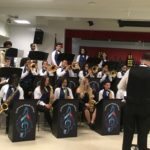 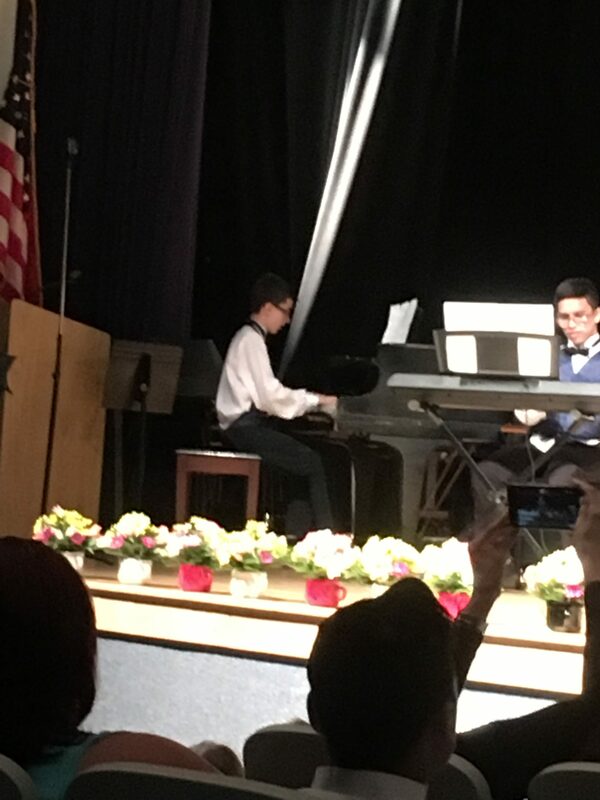 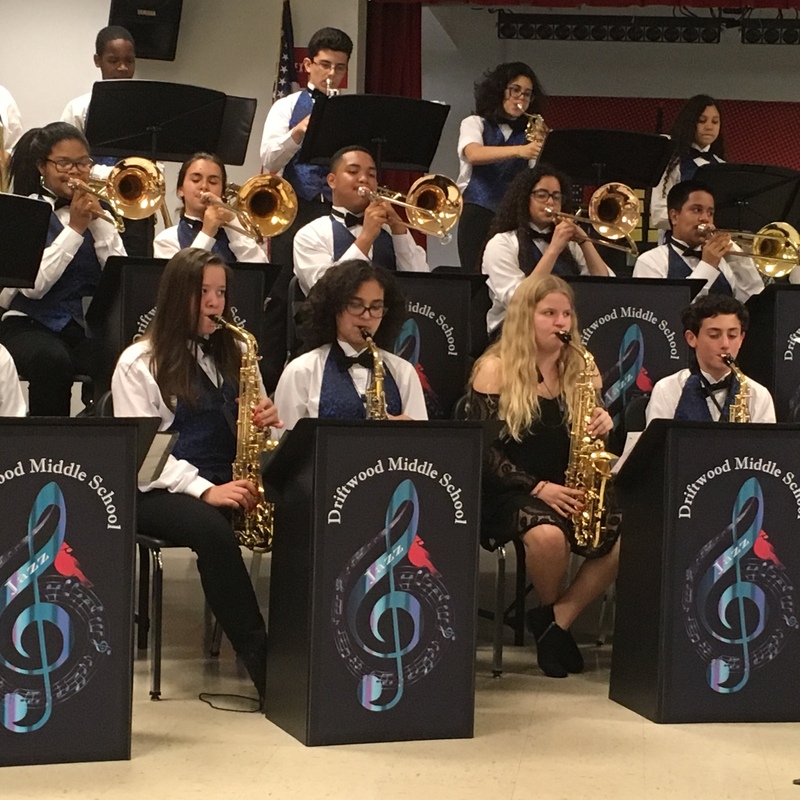 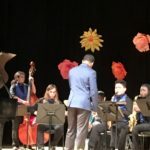 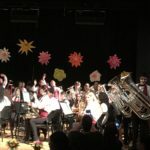 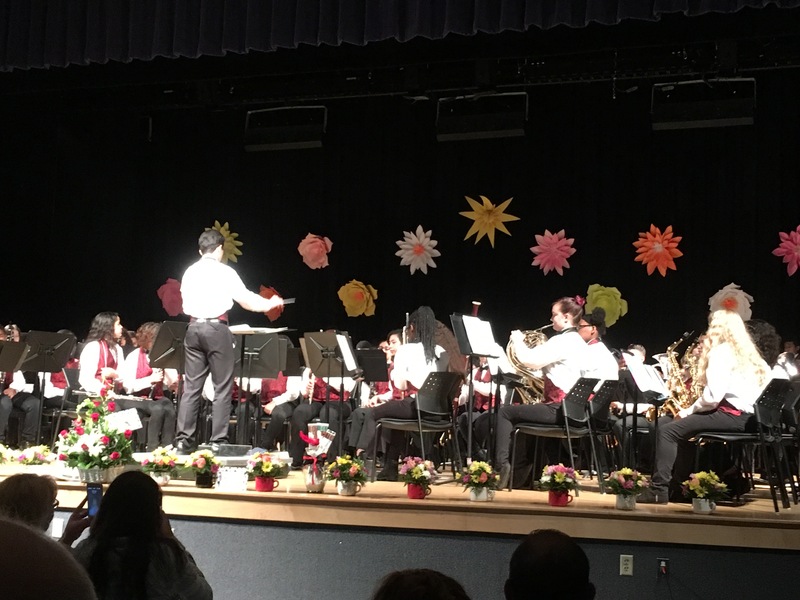 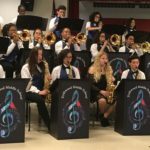 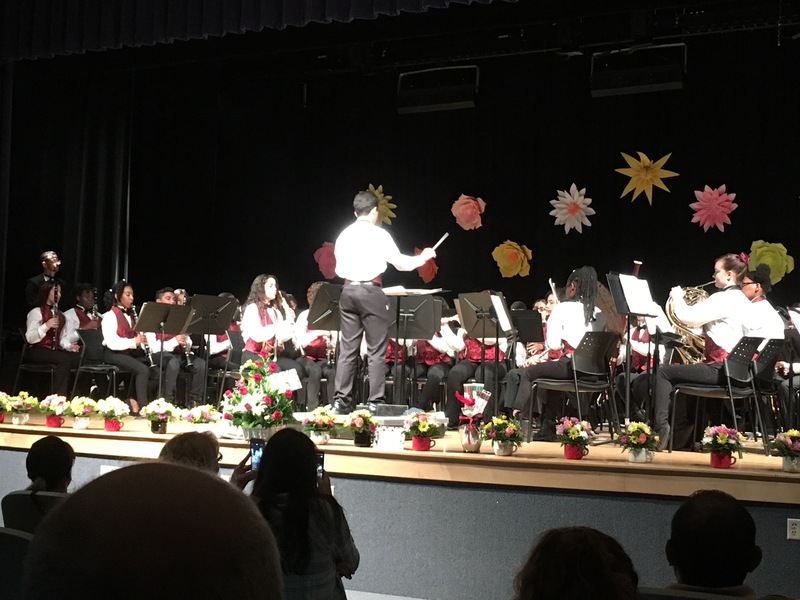 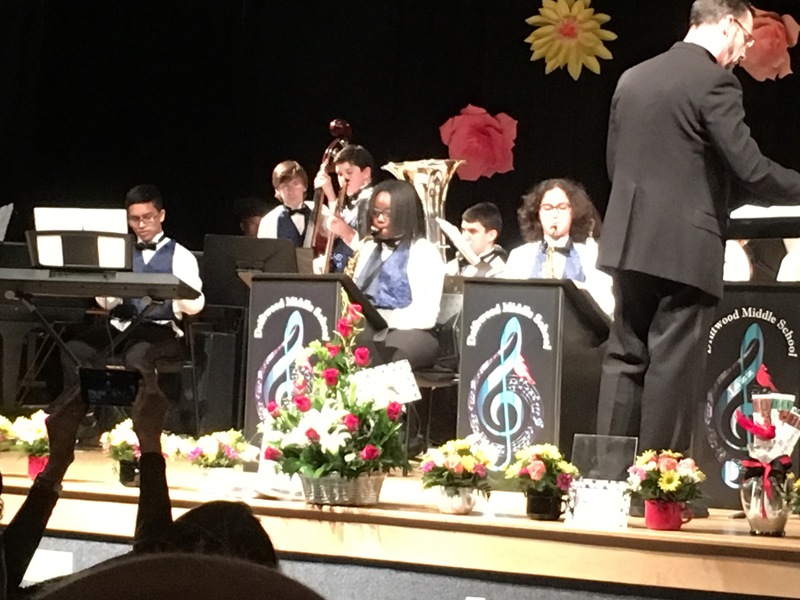 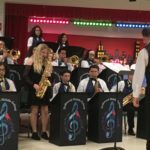 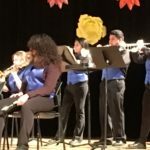 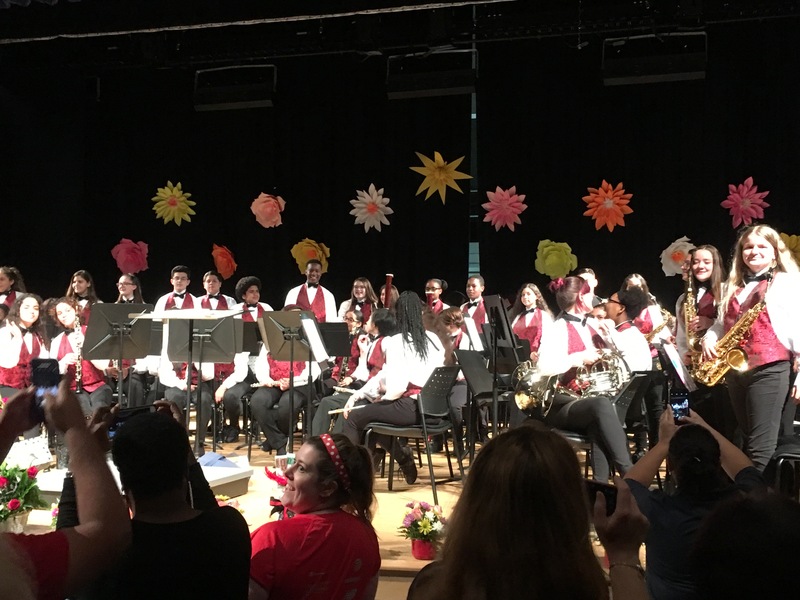 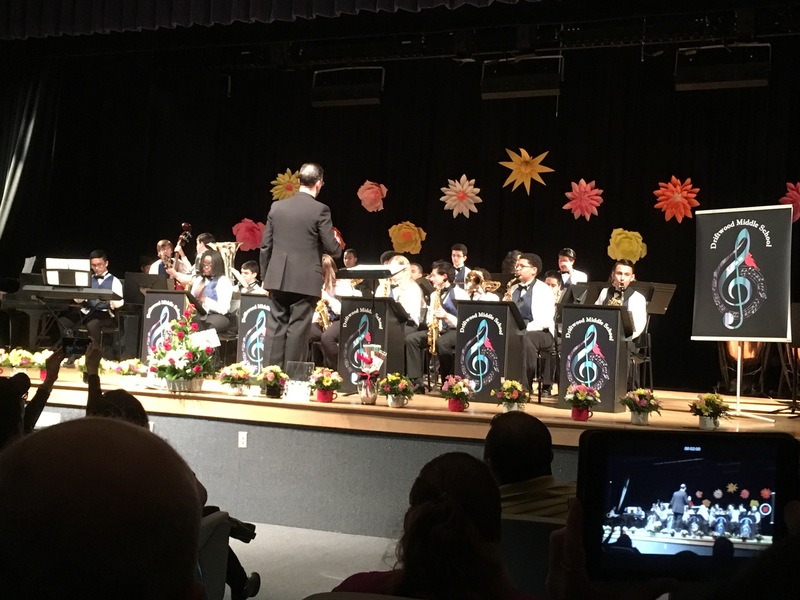 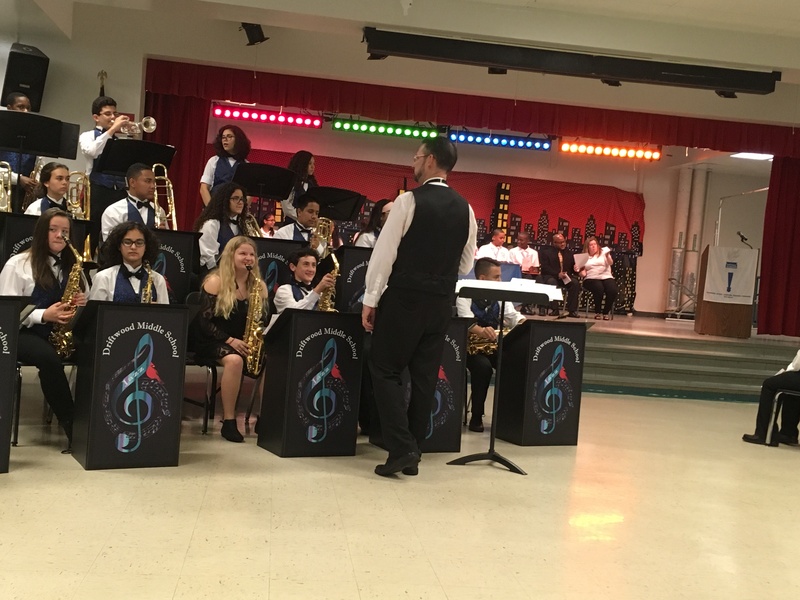 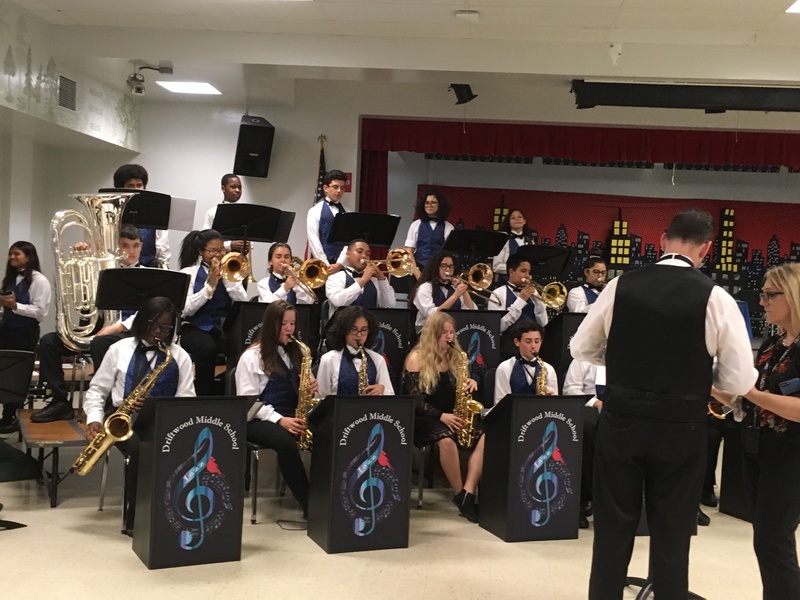 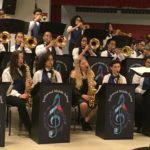 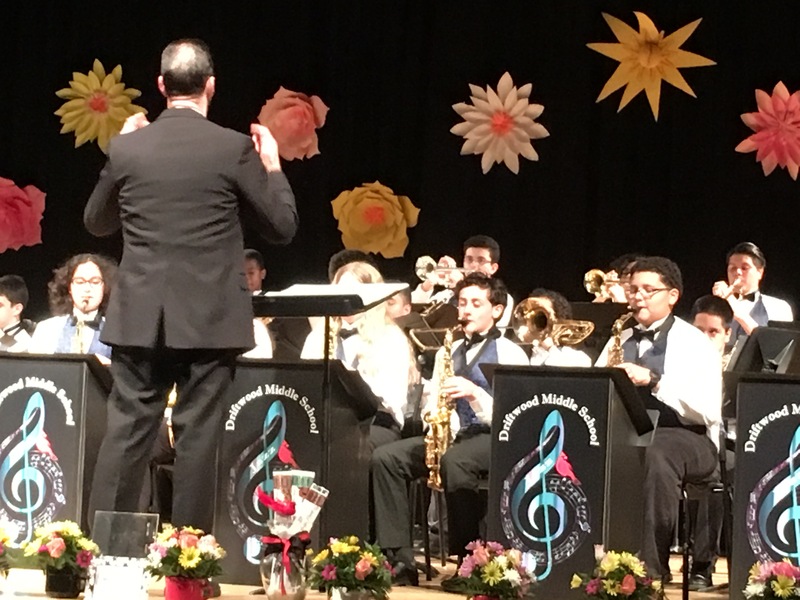 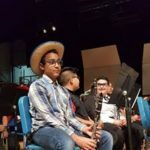 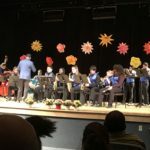 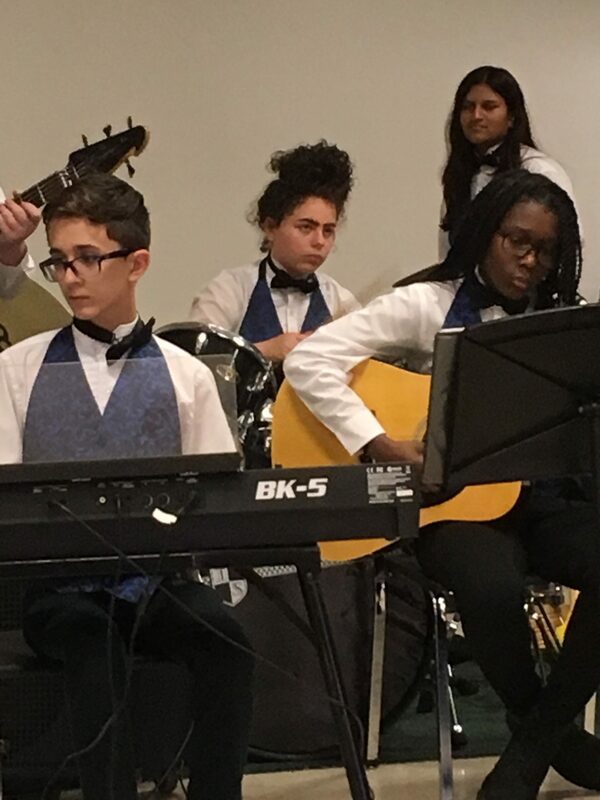 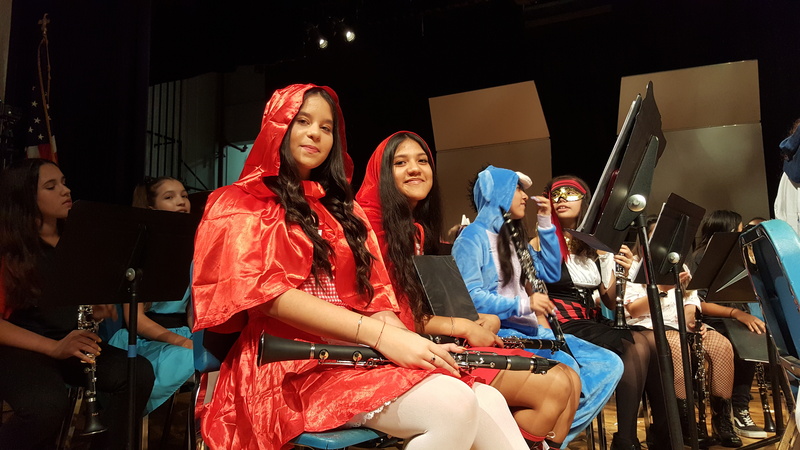 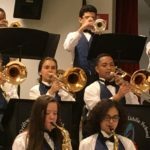 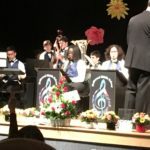 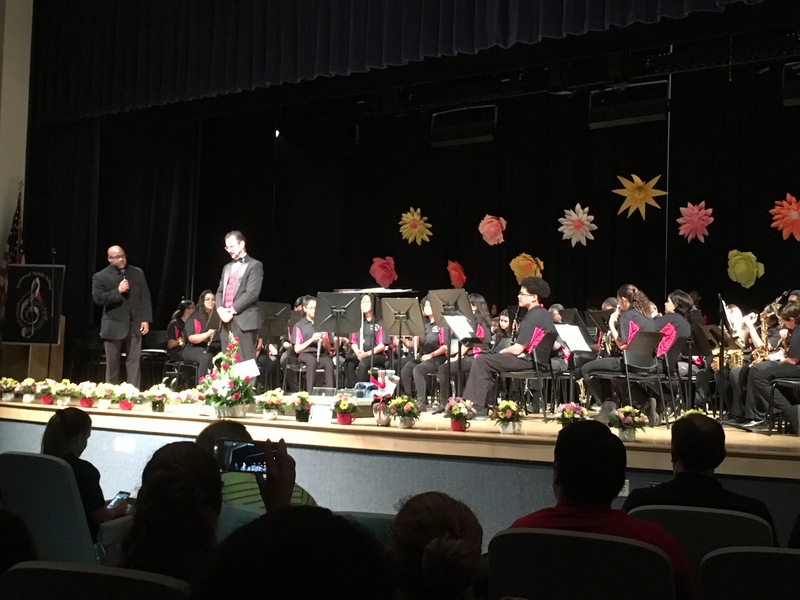 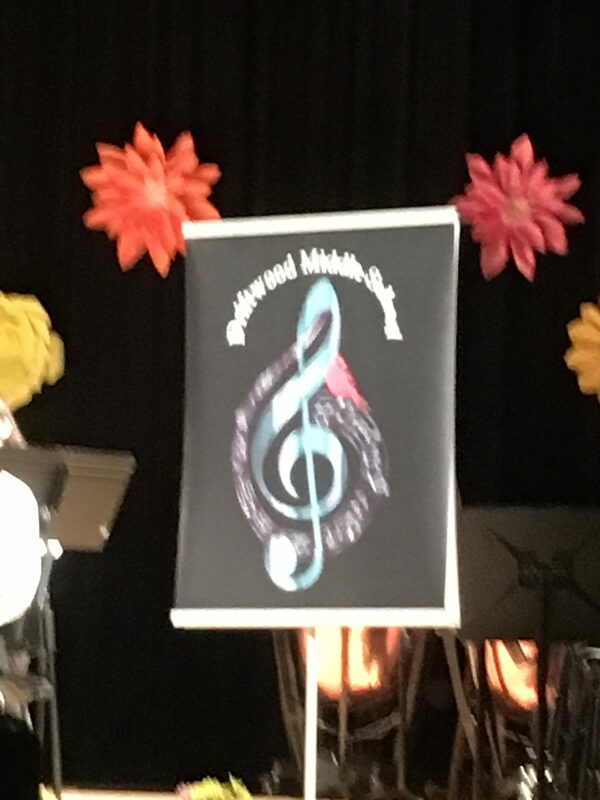 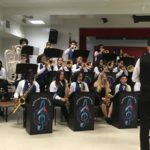 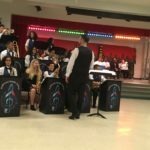 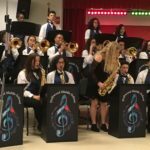 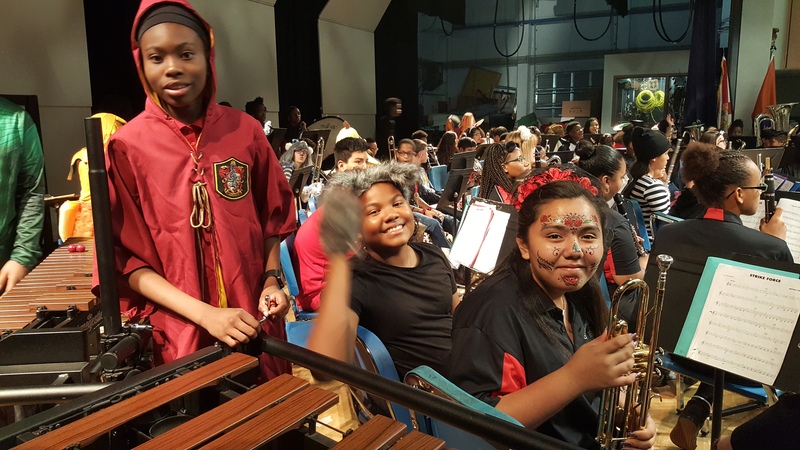 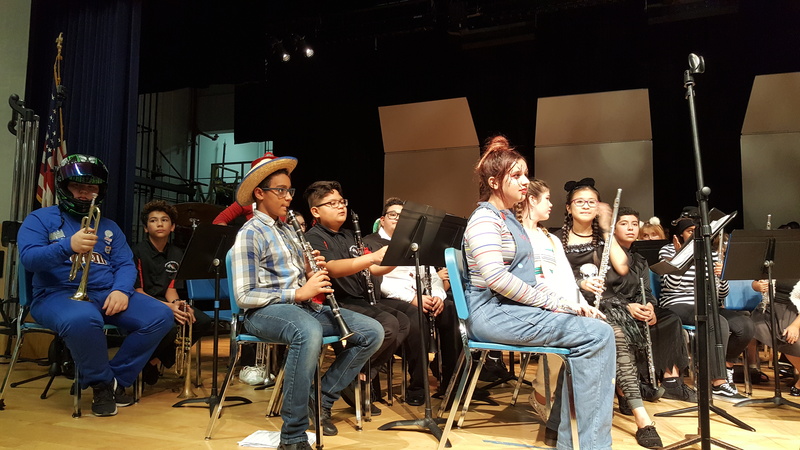 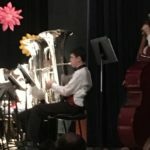 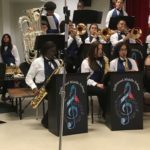 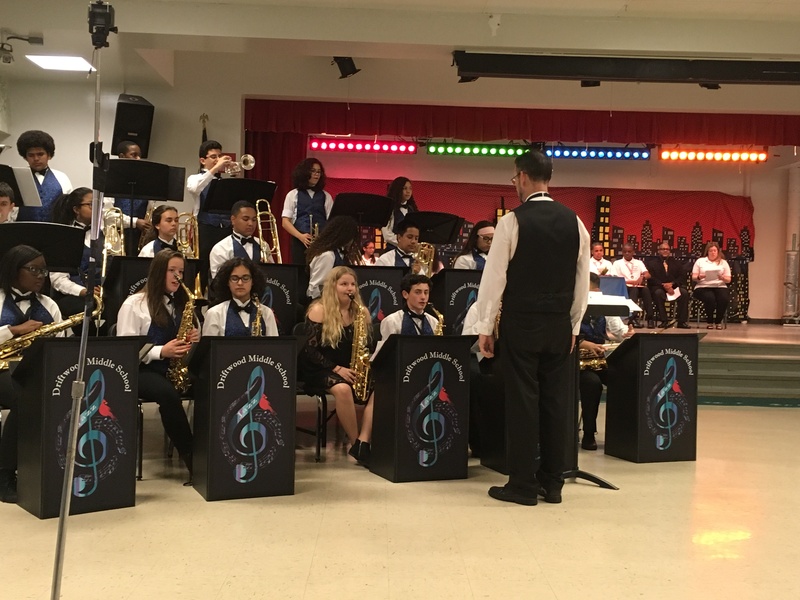 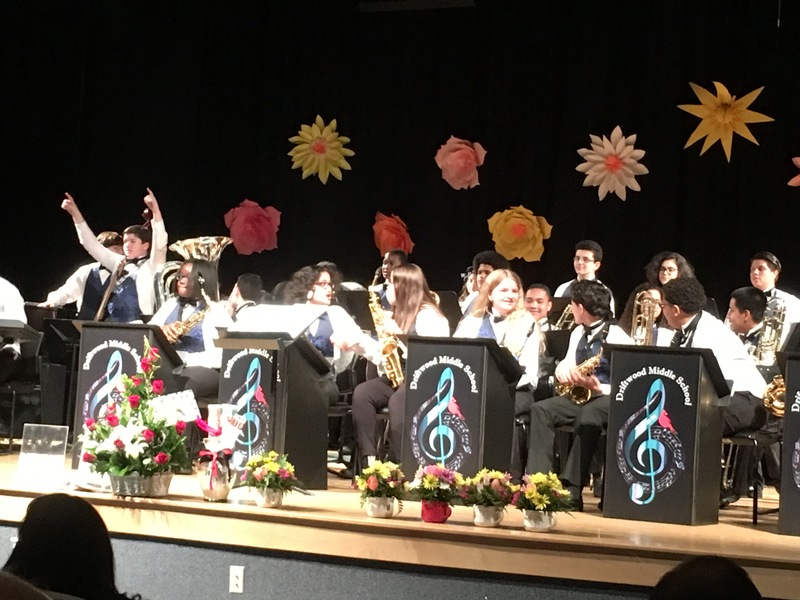 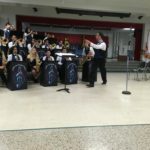 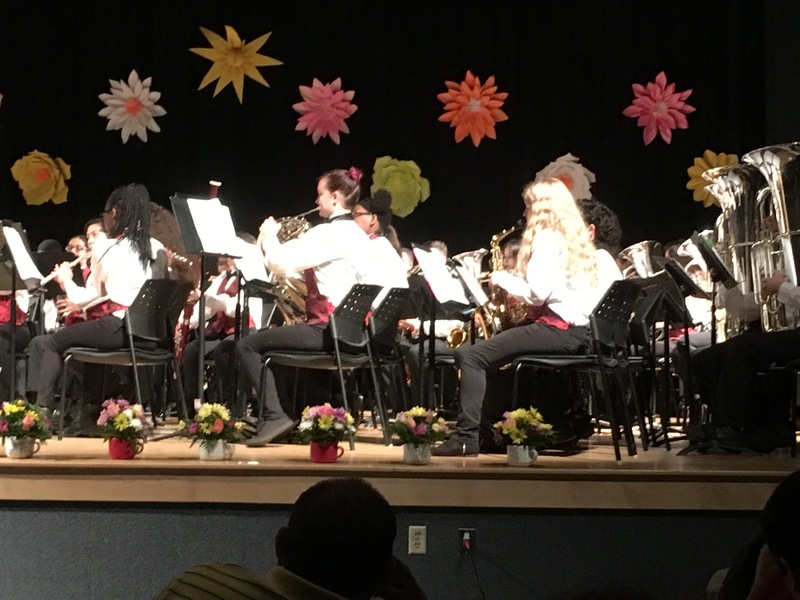 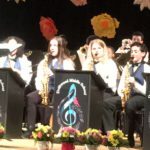 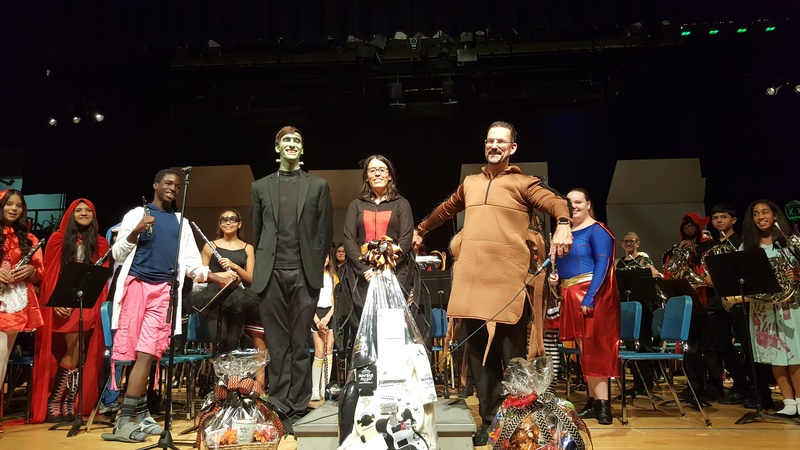 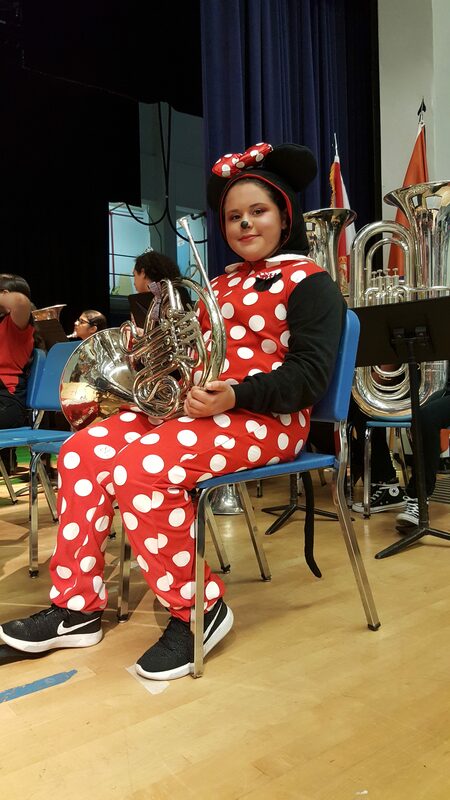 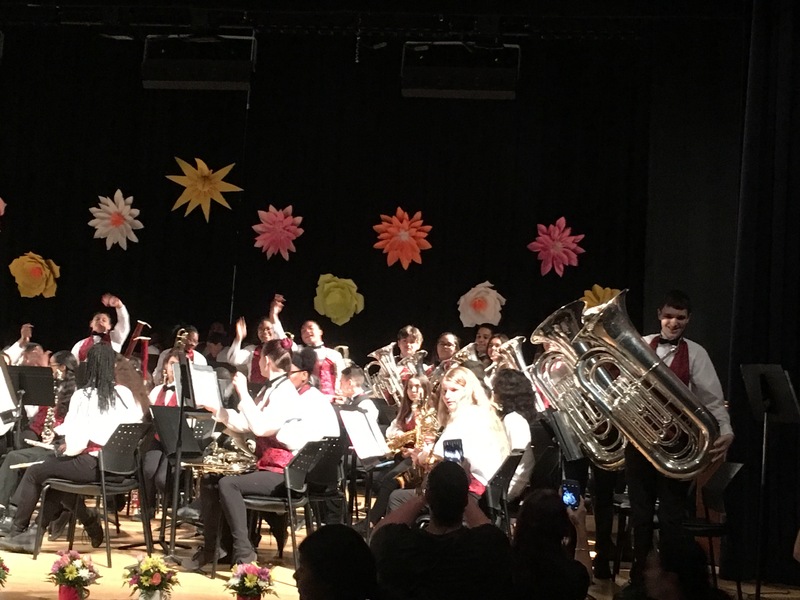 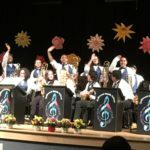 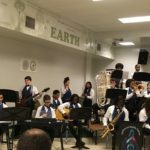 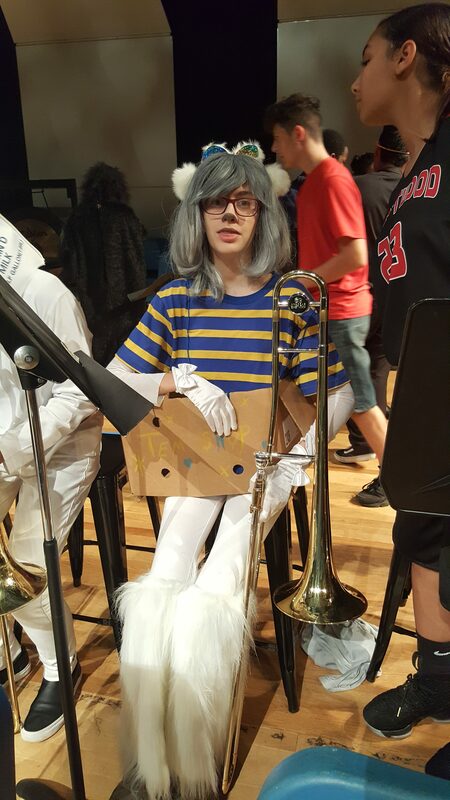 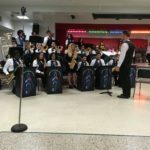 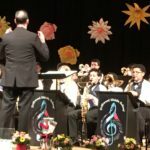 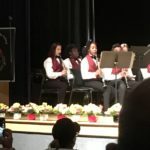 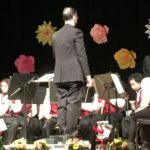 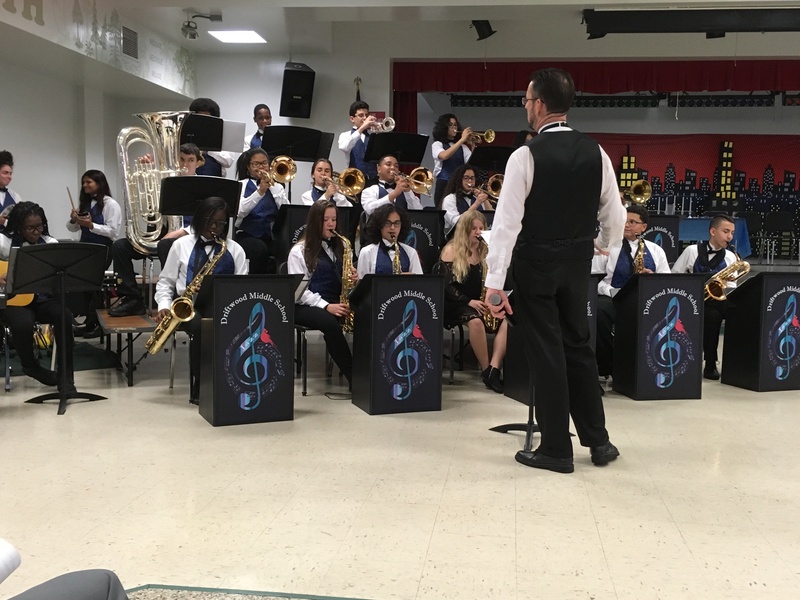 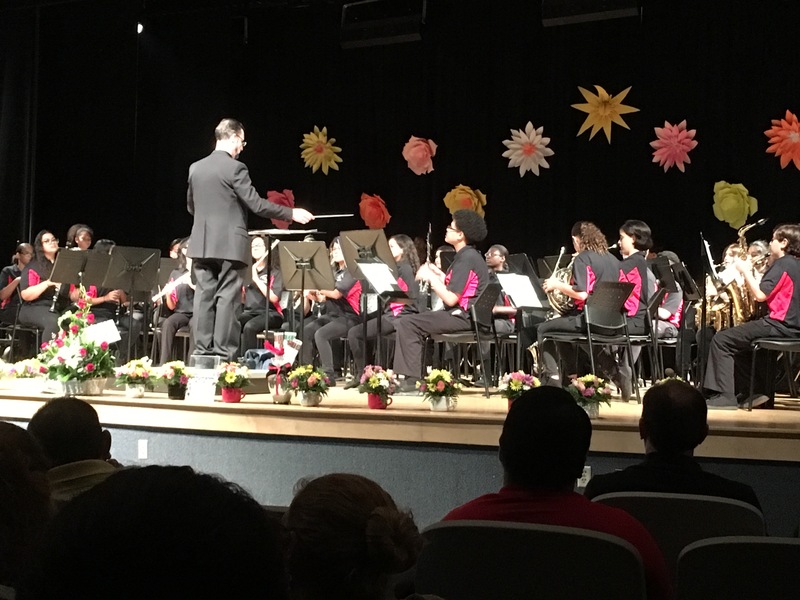 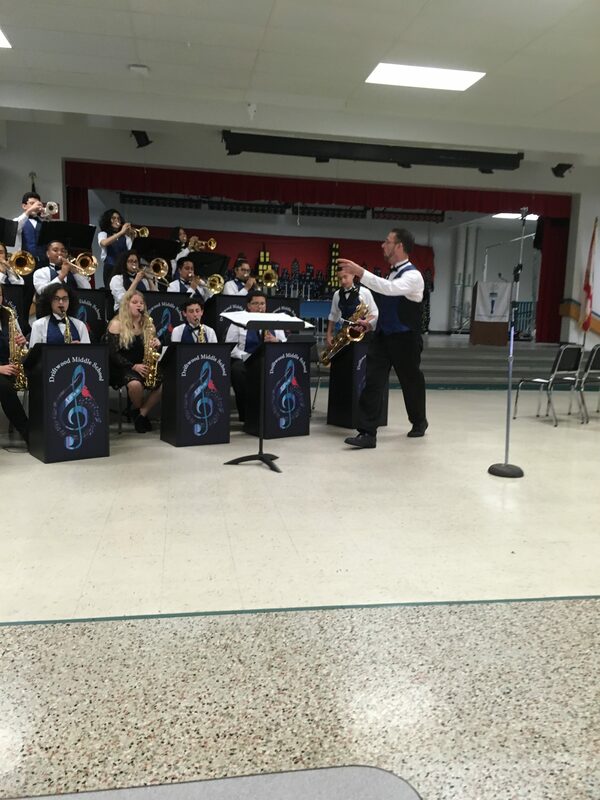 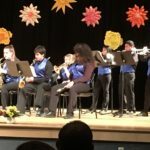 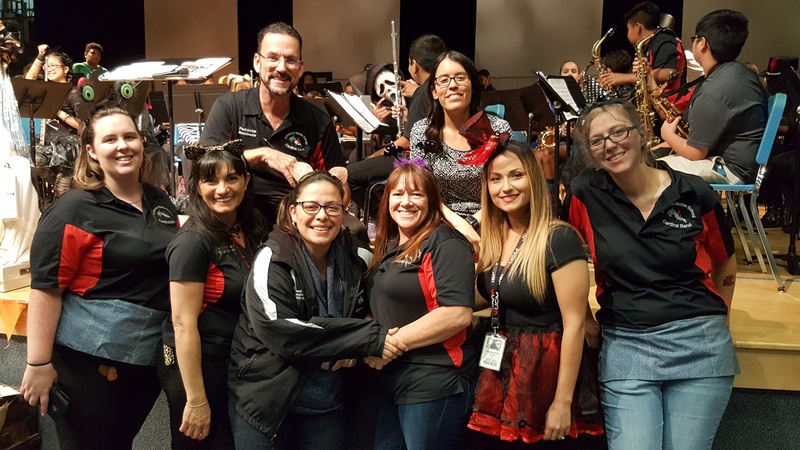 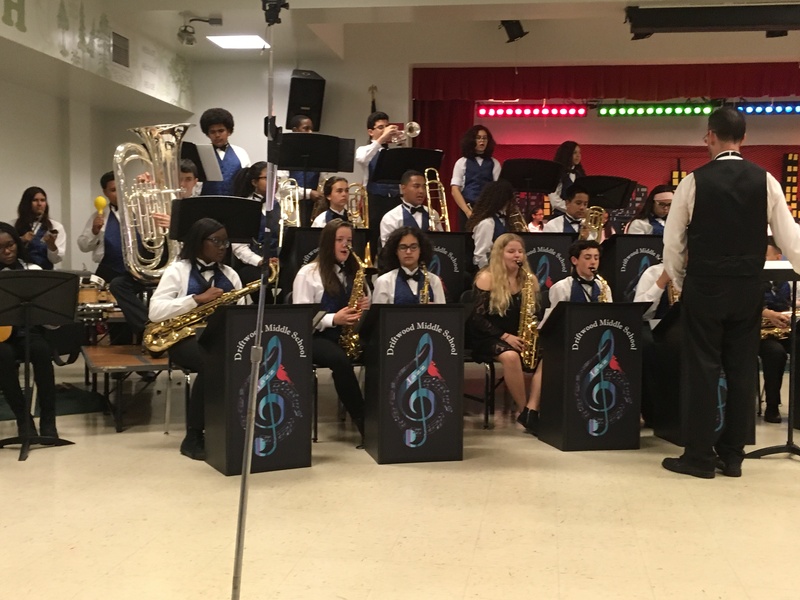 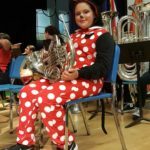 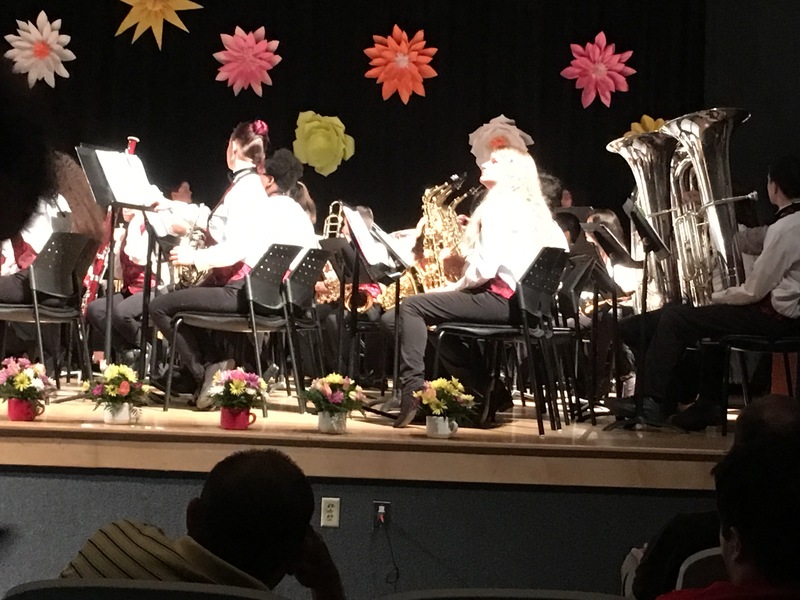 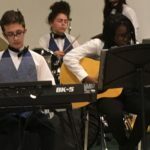 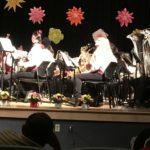 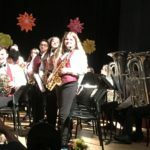 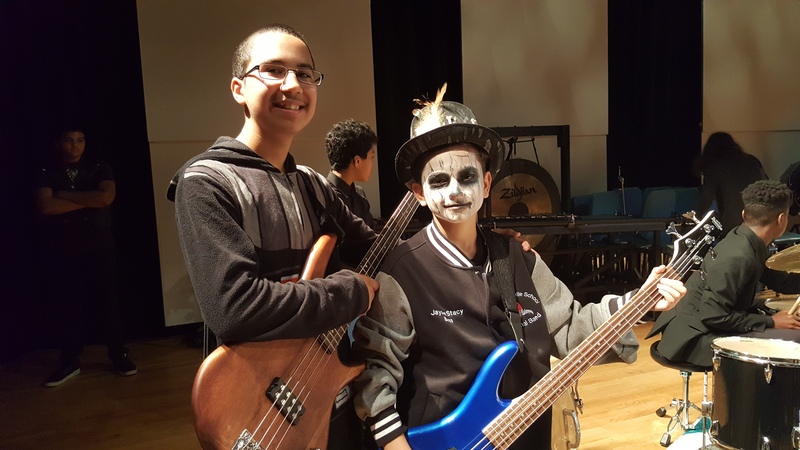 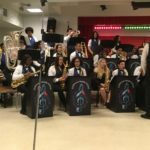 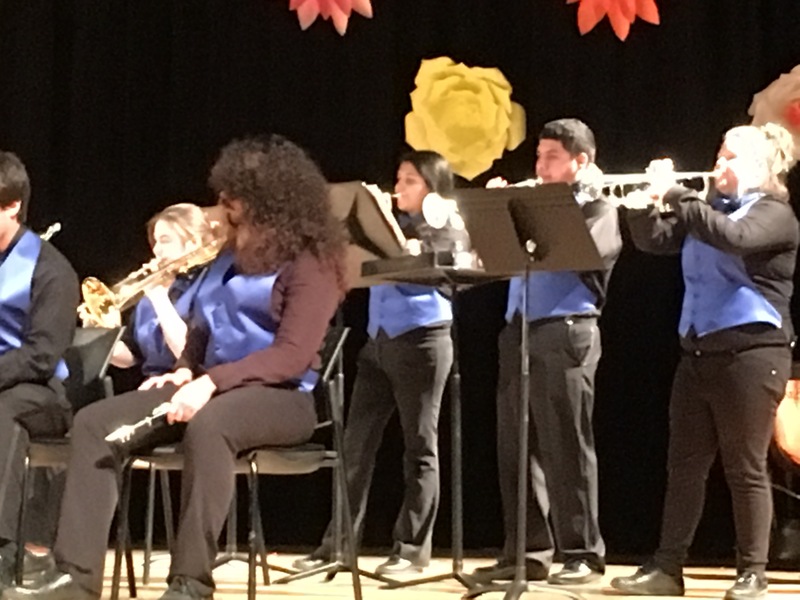 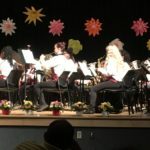 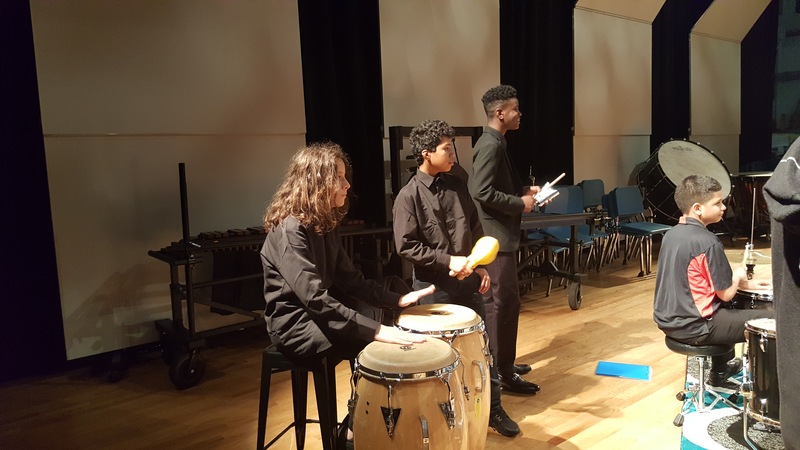 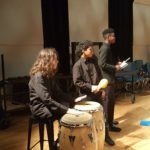 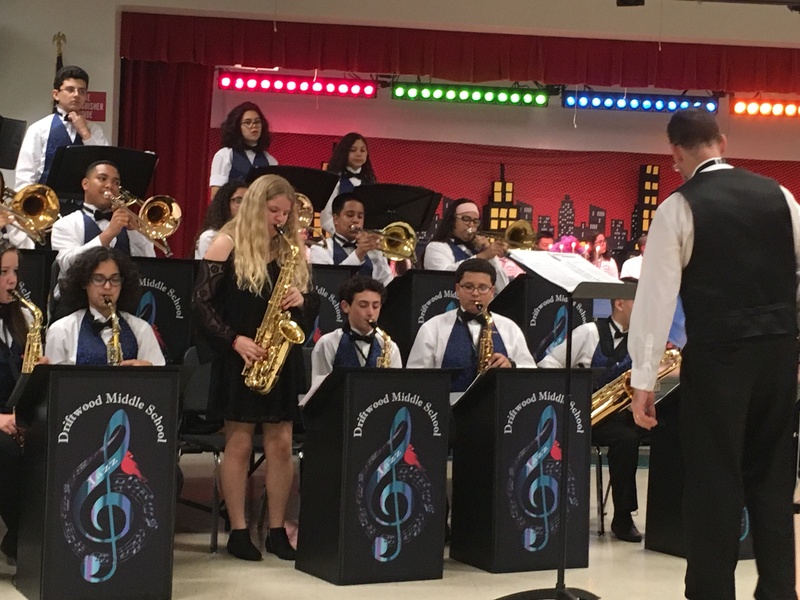 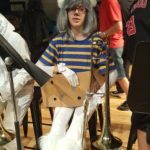 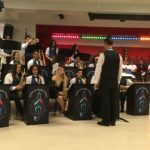 On May 23rd, 2017, the Driftwood Middle School Advanced, Symphonic and Jazz Bands performed at Hollywood Hills High School for their annual Spring Concert. 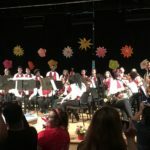 This year the concert was titled “The Best Spring Concert Ever” and it was pretty amazing. 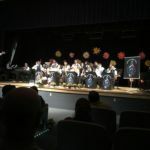 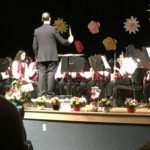 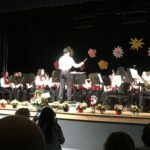 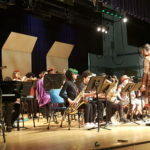 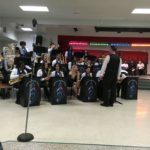 All of the bands did an amazing job and the Hollywood Hills Jazz Band performed for the crowd at the end of the night. 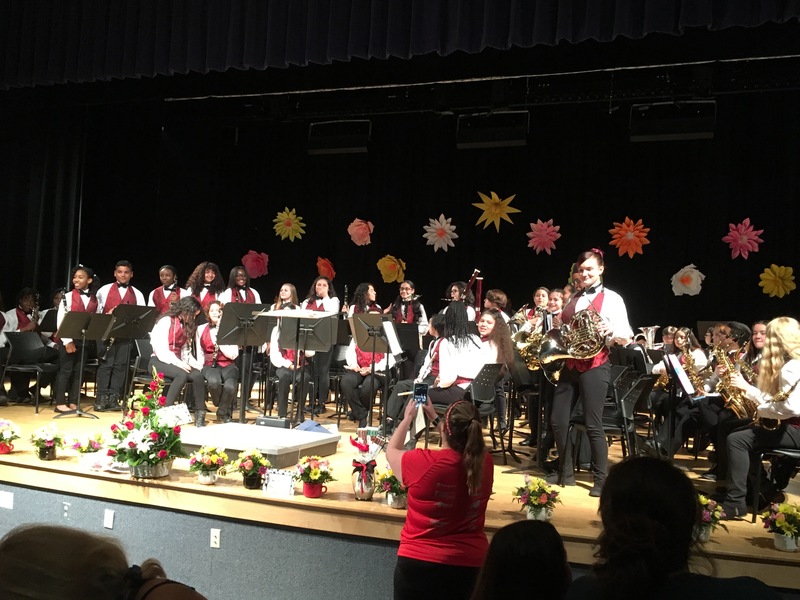 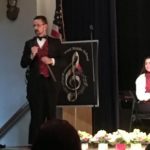 We wish all of our graduation 8th graders the best of luck in high school and look forward to seeing all of our returning and new band members soon! 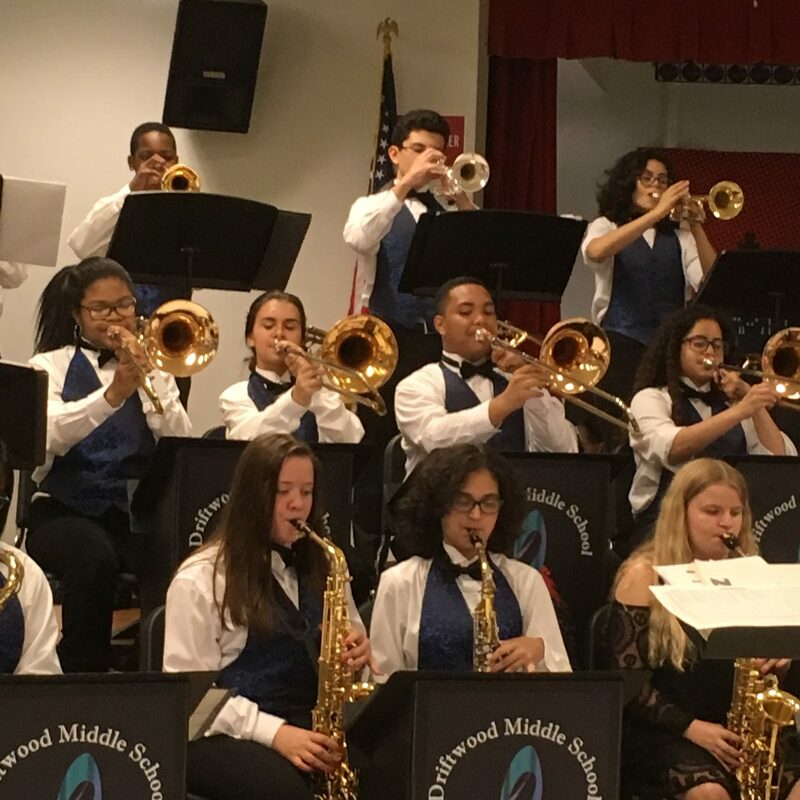 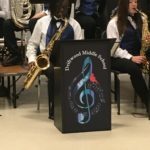 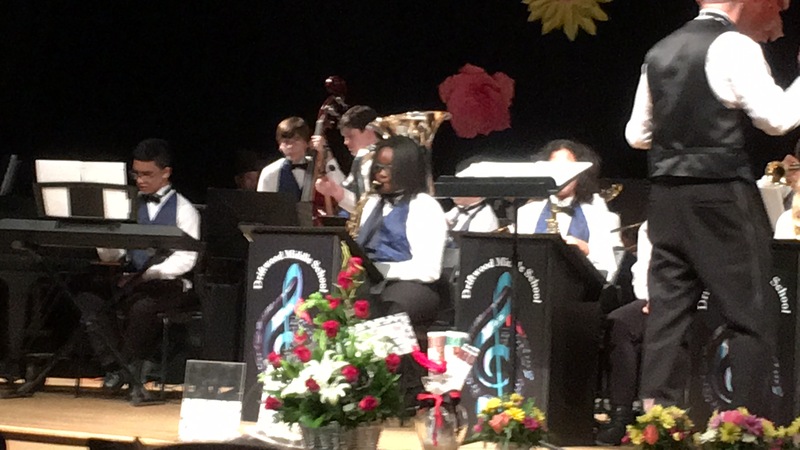 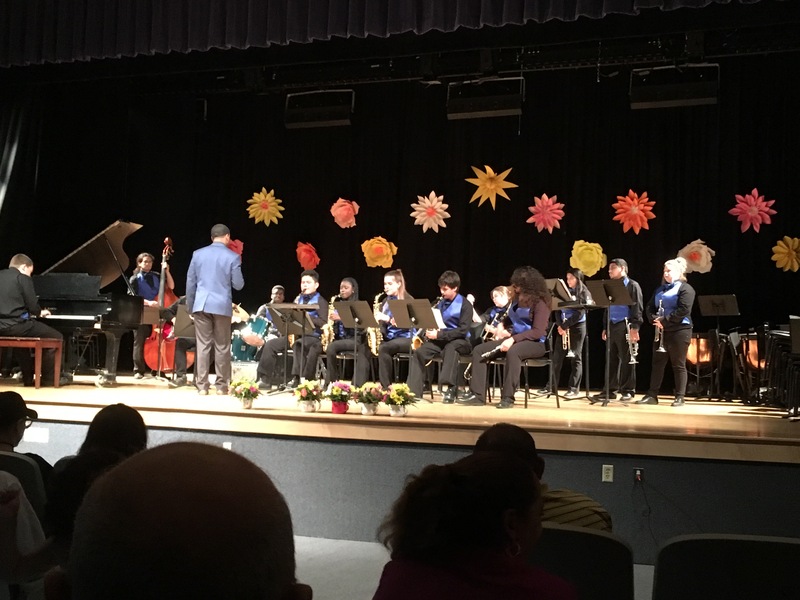 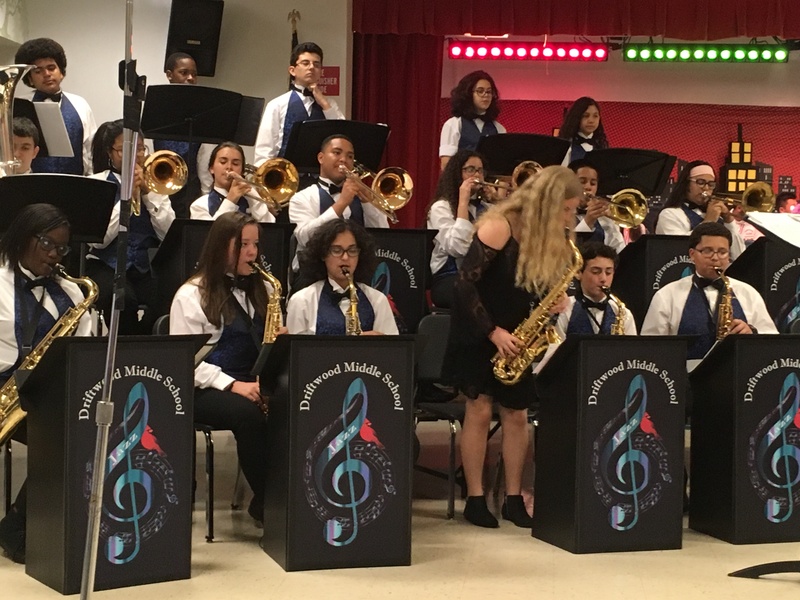 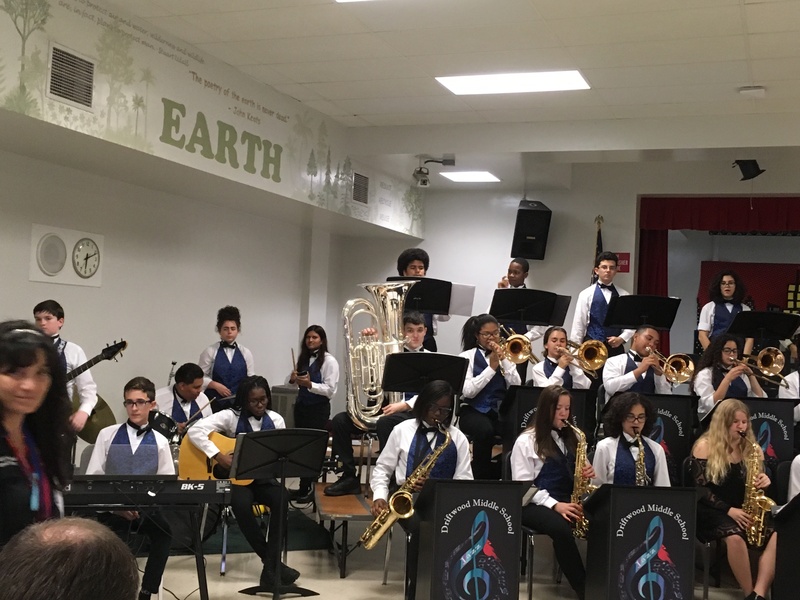 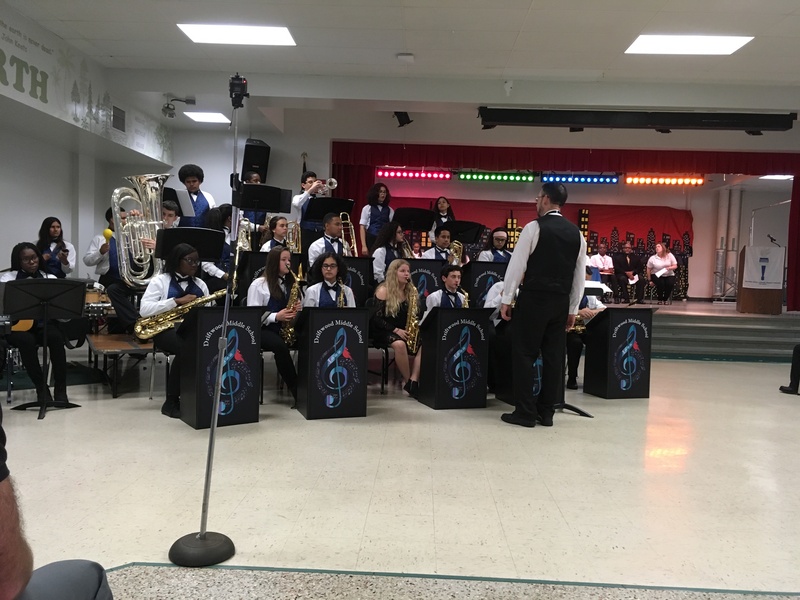 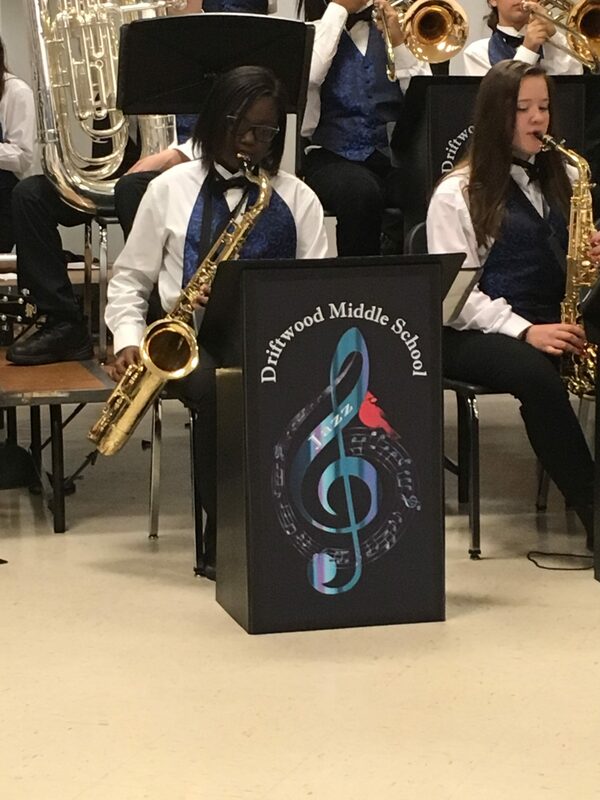 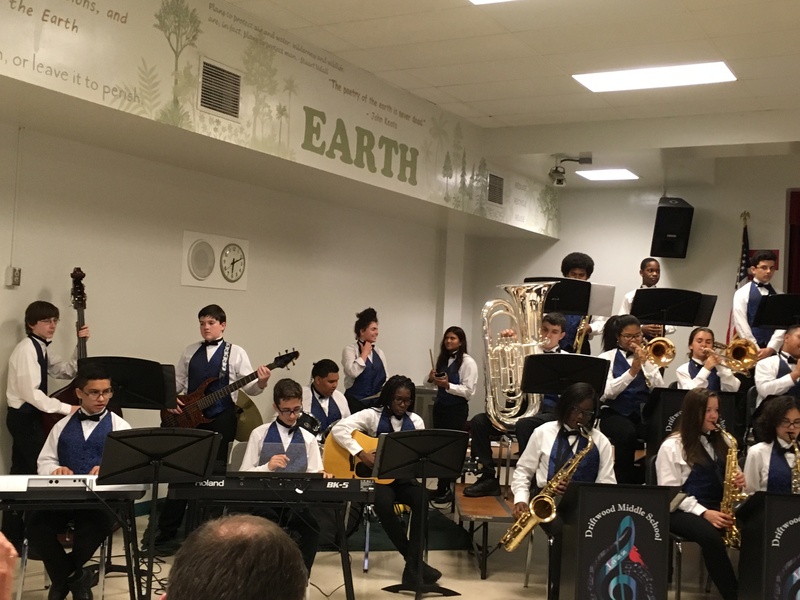 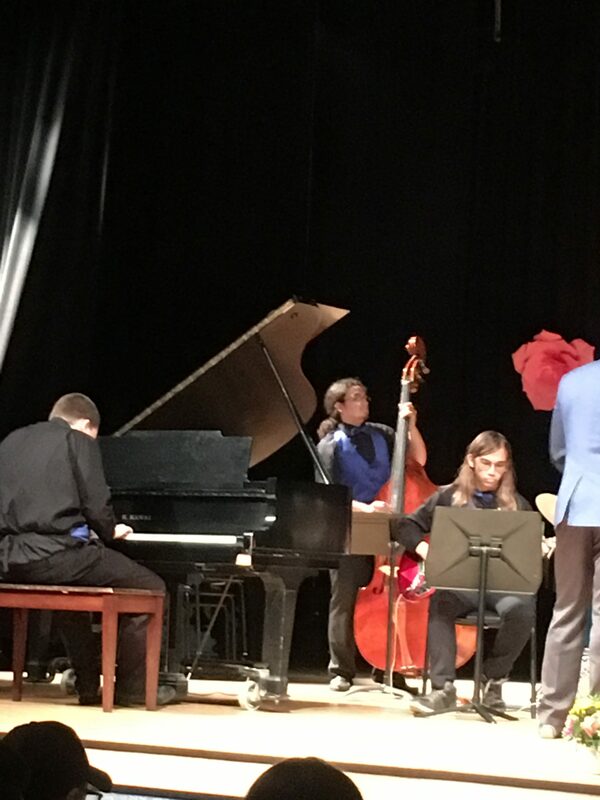 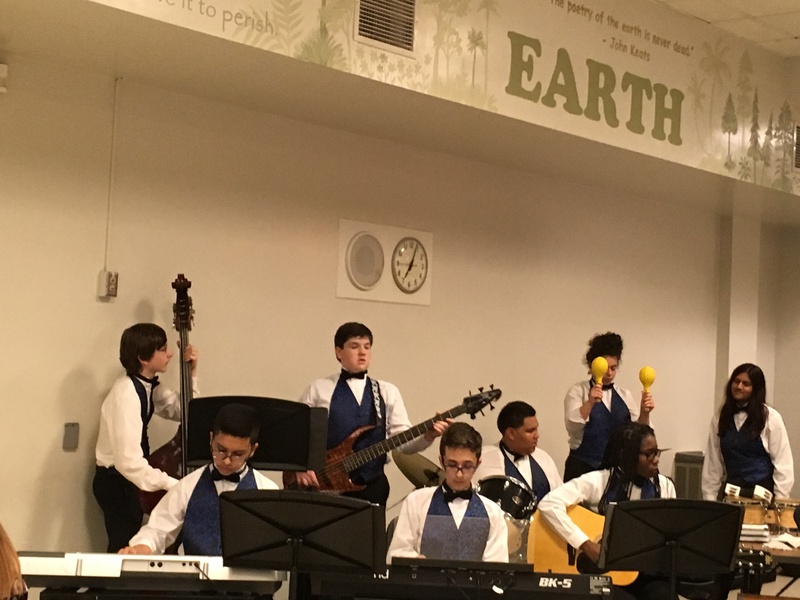 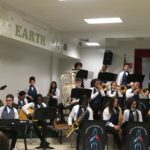 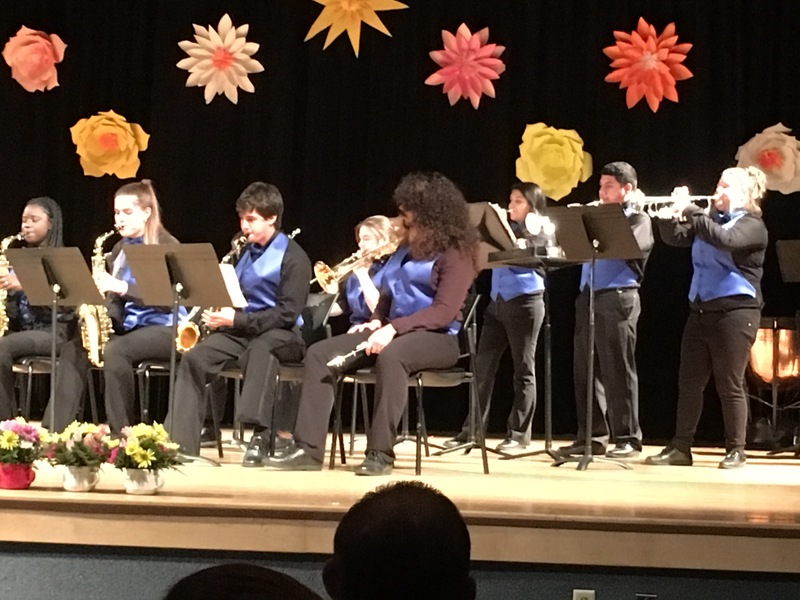 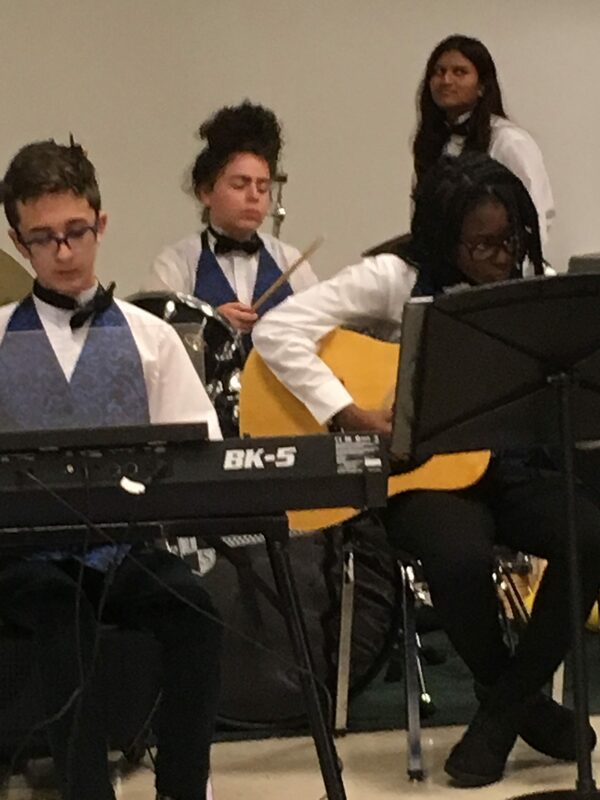 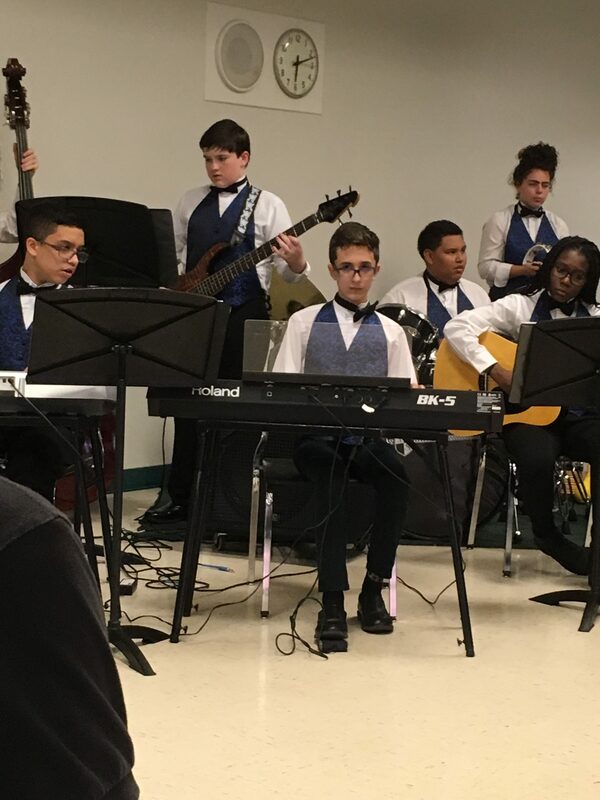 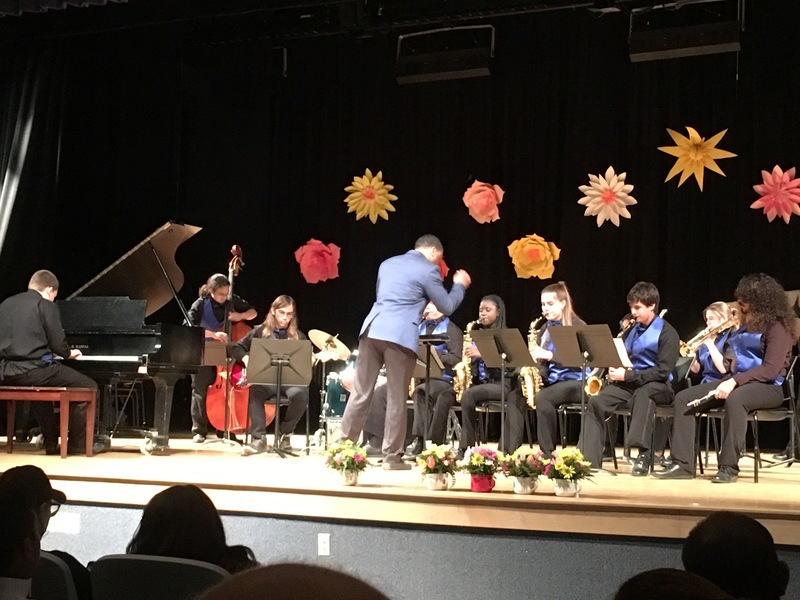 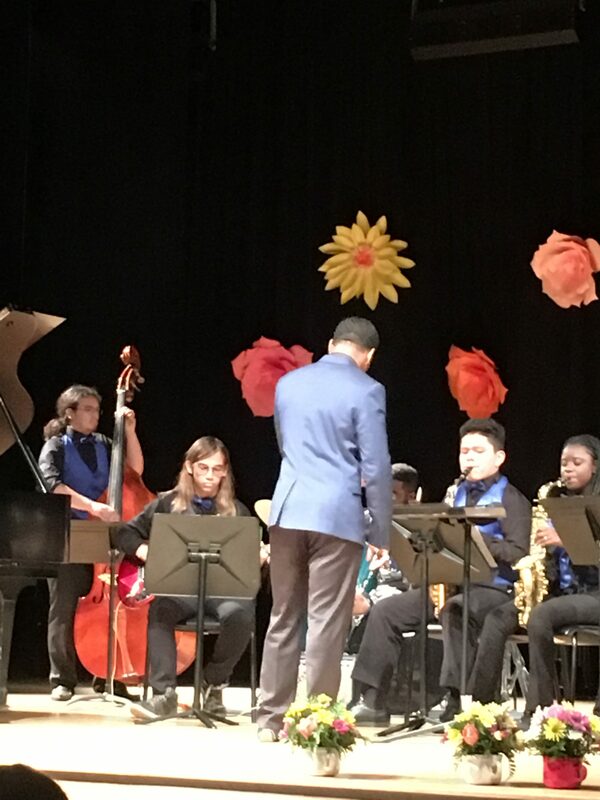 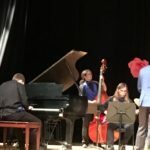 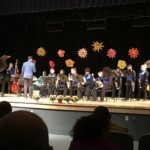 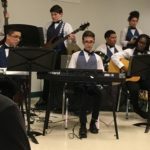 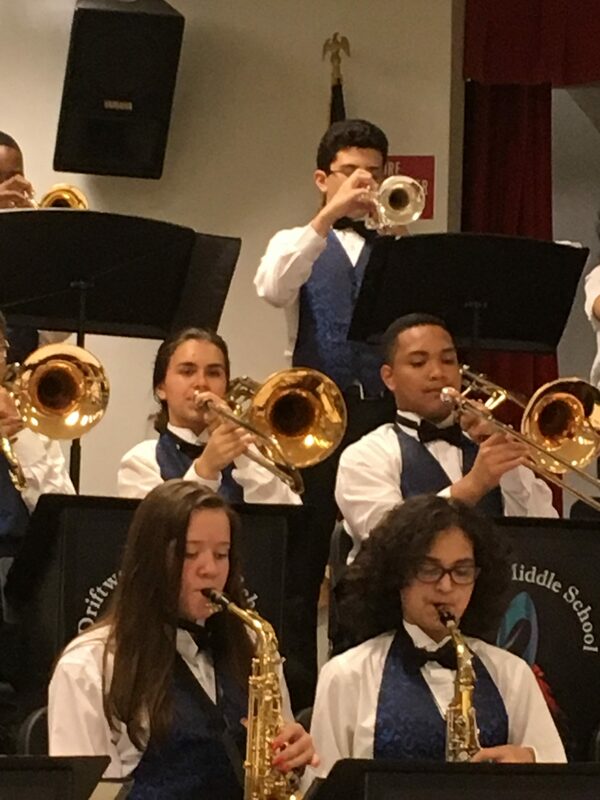 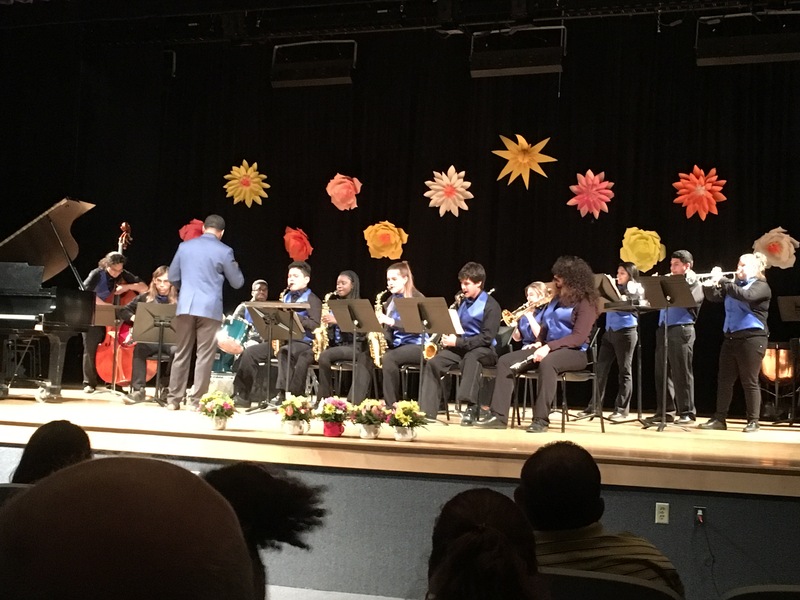 The Driftwood Middle School Jazz Band was invited to perform at the National Junior Honor Society Induction Ceremony that was held at Driftwood Middle School on May 18th, 2017. 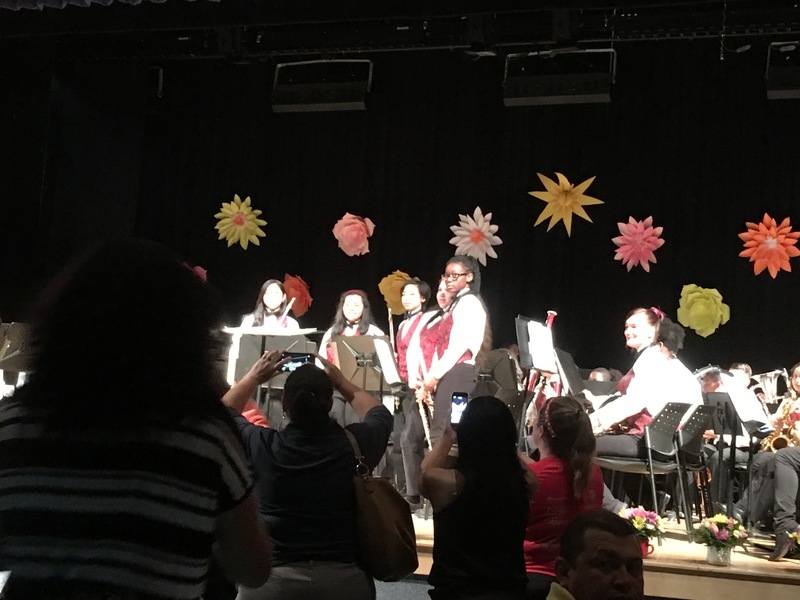 Not only did our band perform, but we also had several new members inducted and current members recognized for their service. 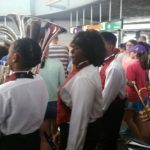 This entry was posted in Pictures on May 25, 2017 by Band Supporter. 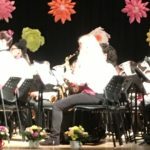 This entry was posted in Band Videos on May 15, 2017 by Band Supporter. 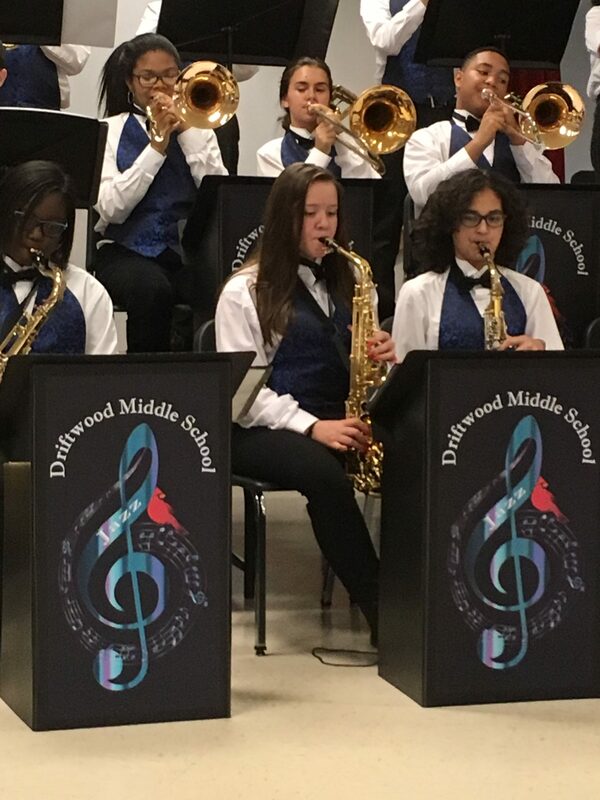 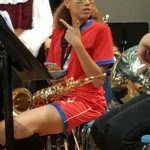 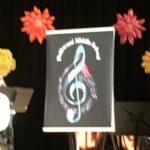 Here are some videos of the Driftwood Middle School Band performing at the 2017 MPA’s at Dillard High School. 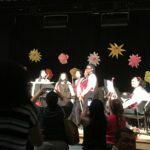 They all did amazing. 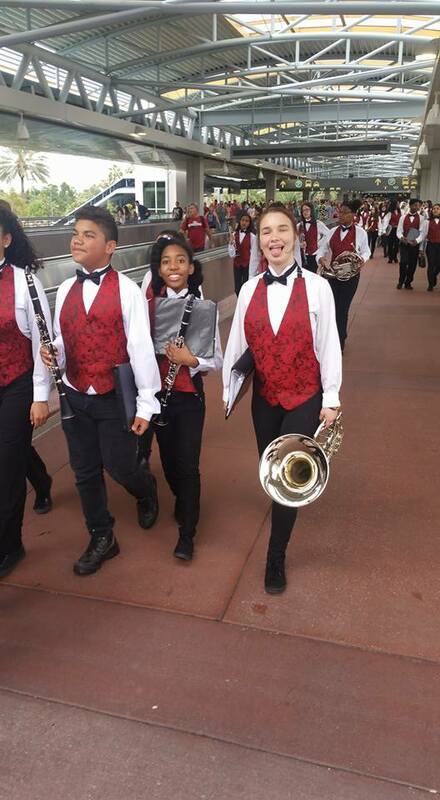 We are so proud of all of our band students and we are sure you are too. 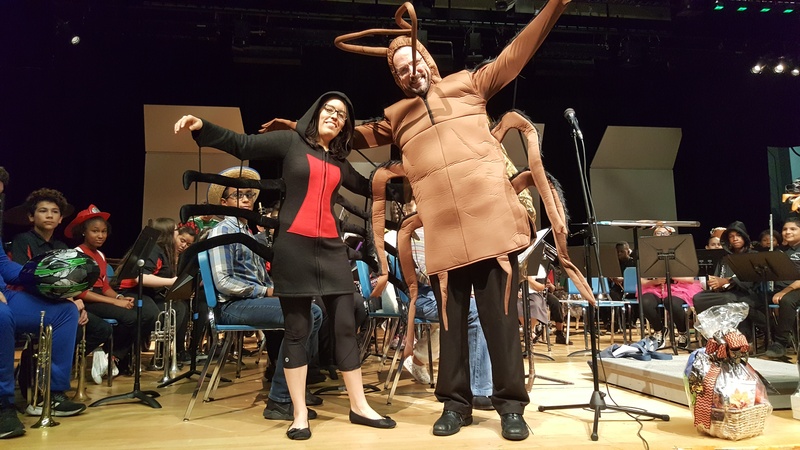 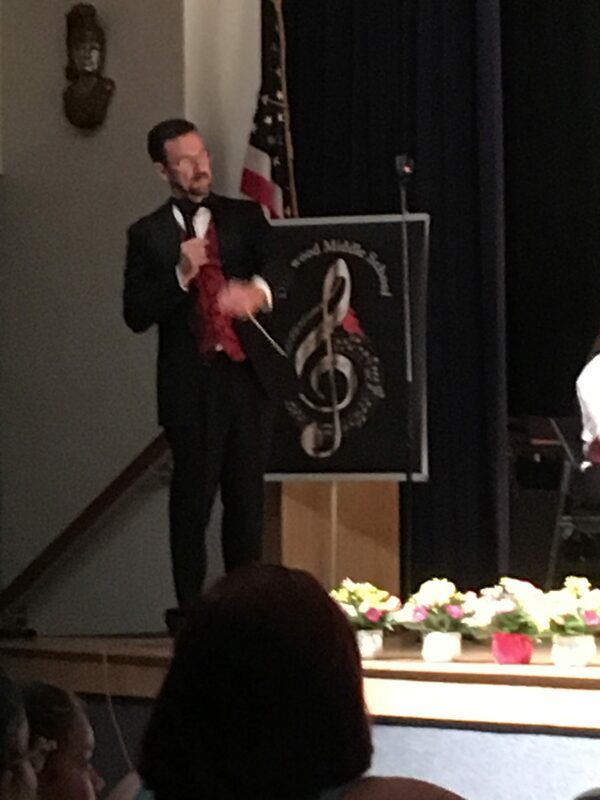 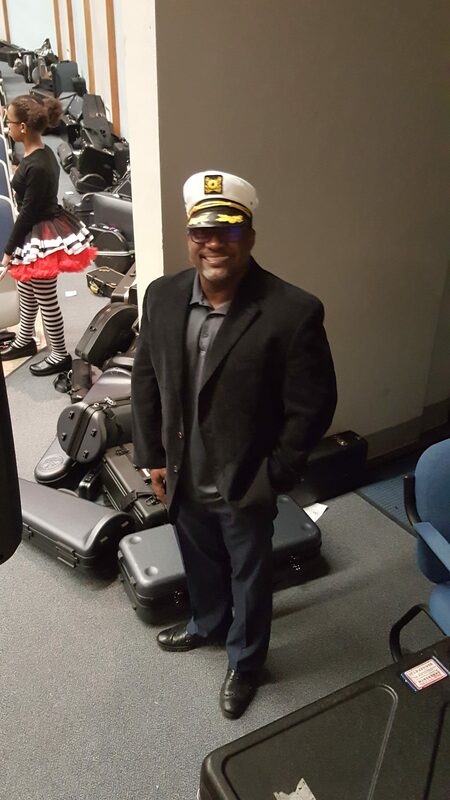 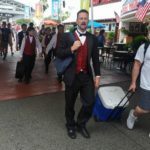 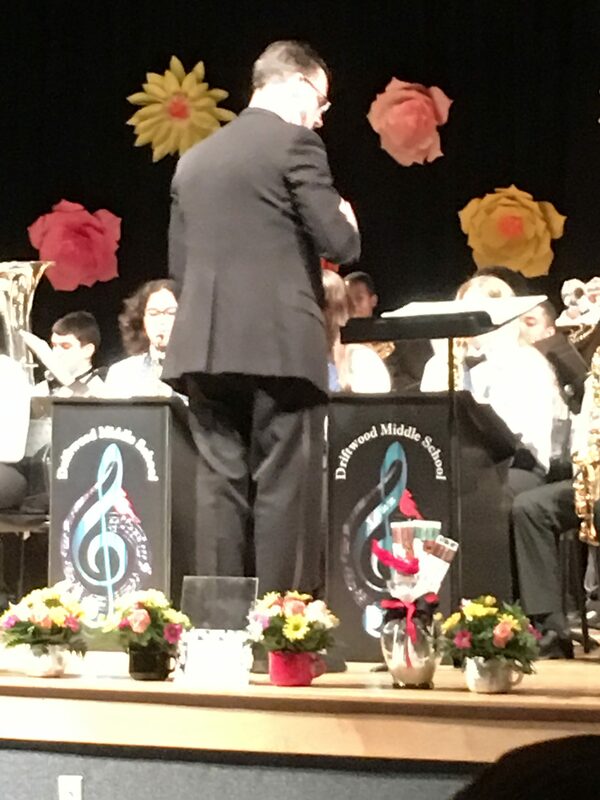 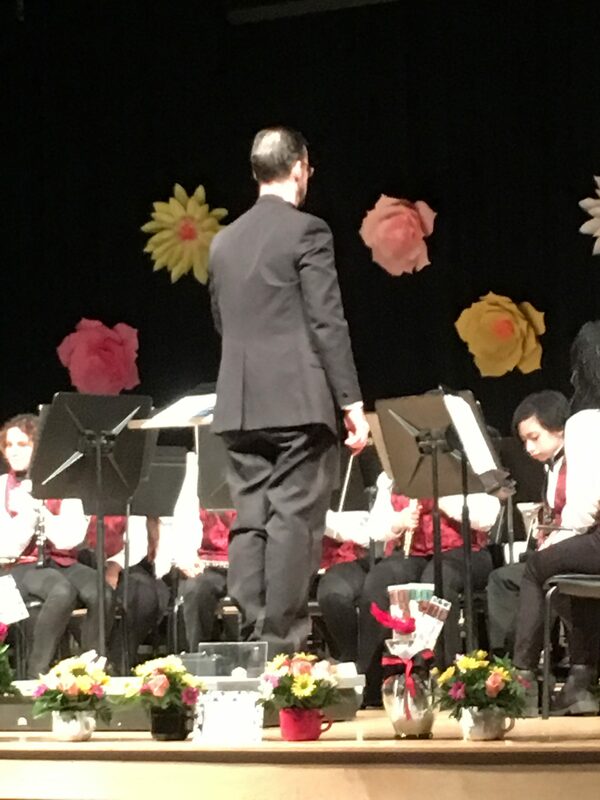 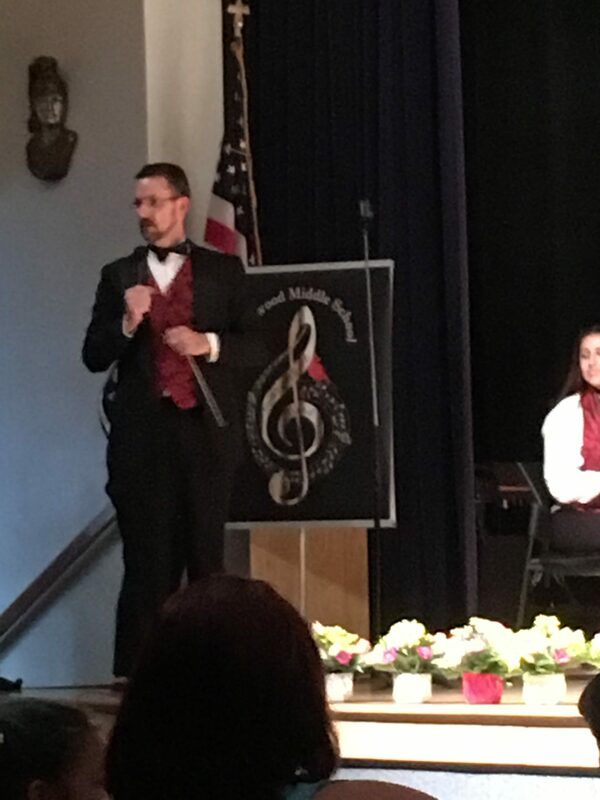 Congratulations to Mr. Morton, our band director, on another amazing band season! 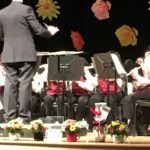 This entry was posted in Band Videos on April 19, 2017 by Band Supporter.